On Passage of the Bill H.R. 1424: A bill to provide authority for the Federal Government to purchase and insure certain types of troubled assets for the purposes of providing stability to and preventing disruption in the economy and financial system and protecting taxpayers, to amend the Internal Revenue Code of 1986 to provide incentives for energy production and conservation, to extend certain expiring provisions, to provide individual income tax relief, and for other purposes. Vote Date: October 1, 2008 Vote: NAY Good Vote. Bailout Bill. The Emergency Economic Stabilization Act of 2008 (H.R. 1424) passed 74-25 (Roll Call 213) on October 1, 2008. This bill authorizes the Treasury Department to use $700 billion of taxpayer money to purchase troubled mortgage-related securities from banks and other financial-related institutions, on terms set by the Treasury Secretary, who now has authority to manage and sell those assets. The bailout plan also expands FDIC protection from $100,000 to $250,000 per bank account, extends dozens of expiring tax provisions, expands incentives for renewable energy, provides a one-year adjustment to exempt millions of Americans from the alternative minimum tax, and requires health insurers who provide mental-health coverage to put mental-health benefits on par with other medical benefits. We have assigned pluses to the nays because the bill establishes an unconstitutional merger of government with big business -- in other words, fascism -- and greatly increases the national debt and monetary inflation by forcing taxpayers to pay the price for the failures of private financial institutions. On the Conference Report H.R. 4137: A bill to amend and extend the Higher Education Act of 1965, and for other purposes. Vote Date: July 31, 2008 Vote: AYE Bad Vote. Higher Education Aid. H.R. 4137 would reauthorize the Higher Education Act through fiscal 2012. It would increase the maximum authorized level of Pell Grants for low-income students from $5,800 per year to $6,000 for the 2009-10 academic year, and to $8,000 for the 2014-15 academic year. It would also create a $10,000 student-aid forgiveness program ($2,000 per year for five years) for graduates who work in high-need fields such as nursing and early childhood education. The Senate passed the final version of this legislation (known as the conference report) on July 31, 2008 by a vote of 83-8 (Roll Call 194). We have assigned pluses to the nays because education aid is not authorized by the Constitution. On the Motion (Motion to Concur in the House Amendment to Senate Amendment to the House Amendments to the Senate Amendment to HR 3221): A bill to provide needed housing reform and for other purposes. Vote Date: July 26, 2008 Vote: NONE No Vote. Mortgage Relief. This legislation (H.R. 3221) would grant authority to the Treasury Department to extend new credit and buy stock in the Federal National Mortgage Association (Fannie Mae) and the Federal Home Loan Mortgage Corporation (Freddie Mac). As described by Congressional Quarterly, "It also would create an independent regulator for the two mortgage giants and the Federal Home Loan Bank System. It would overhaul the Federal Housing Administration and allow it to insure up to $300 billion worth of new, refinanced loans for struggling mortgage borrowers. It also includes a $7,500 tax credit to some first-time homebuyers, higher loan limits for FHA-backed loans, a standard tax deduction for property taxes and revenue-raisers to offset part of the costs. It also would authorize $3.92 billion in grants to states and localities to purchase and rehabilitate foreclosed properties, and increase the federal debt limit to $10.6 trillion." The Senate passed H.R. 3221 on July 26, 2008 by a vote of 72-13 (Roll Call 186). We have assigned pluses to the nays because the federal government acting as an insurer, a micromanager of markets, and a wealth redistributor is unconstitutional and will undoubtedly affect market behavior, leading to more and worse market strife. On the Cloture Motion S. 3186: A bill to provide funding for the Low-Income Home Energy Assistance Program. Low-income Energy Assistance. Bill S. 3186 would provide emergency funds of $2.5 billion, nearly doubling the funding, for the Low Income Home Energy Assistance Program. A motion to limit debate on the motion to proceed to the bill was rejected 50-35 (Roll Call 187) on July 26, 2008 in a vote that required the approval of three-fifths of the Senate. Proponents of the funding said it was needed to help people with low income pay for rapidly rising heating and cooling costs. The funding would have an emergency designation, meaning it is neither paid for from existing funds nor offset by spending reductions in other programs. Thus the cost would be added to the national debt and passed on to future generations. The program still had a $100 million surplus and was expected to be refunded in a continuing resolution, therefore the bill was unnecessary. The bill ignored demands for increasing domestic energy production as a means to restrain rising energy prices. We have assigned pluses to the nays because the federal government should stop over-regulating and interfering with the energy industry and get out of the unconstitutional welfare business. On Passage of the Bill H.R. 5501: A bill to authorize appropriations for fiscal years 2009 through 2013 to provide assistance to foreign countries to combat HIV AIDS, tuberculosis, and malaria, and for other purposes. Vote Date: July 16, 2008 Vote: AYE Bad Vote. Global HIV/AIDS Program. This version of H.R. 5501, as modified by the Senate, was agreed to 303-115 (Roll Call 531) on July 24, 2008. The bill would authorize $48 billion for fiscal 2009 through 2013 to combat AIDS, malaria, and tuberculosis overseas. Currently one-third of the funding for HIV prevention is required to go to abstinence education. The bill would change that allocation to balance funding between condom, fidelity, and abstinence programs. It would also authorize $2 billion to fund programs for American Indian health, clean water, and law enforcement. The Senate passed H.R. 5501 on July 16, 2008 by a vote of 80-16 (Roll Call 182). We have assigned pluses to the nays because foreign aid is unconstitutional. On Passage of the Bill H.R. 6304: A bill to amend the Foreign Intelligence Surveillance Act of 1978 to establish a procedure for authorizing certain acquisitions of foreign intelligence, and for other purposes. Vote Date: July 9, 2008 Vote: AYE Bad Vote. Warrantless Searches. H.R. 6304, the bill to revamp the Foreign Intelligence Surveillance Act (FISA), would allow warrantless electronic surveillance, including monitoring telephone conversations and e-mails, of foreign targets, including those communicating with American citizens in the United States. The final version of the bill would not explicitly grant immunity to telecommunications companies that have assisted President Bush's warrantless surveillance program. But it would require courts to dismiss lawsuits against such companies if there is "substantial evidence" they were insured in writing the program was legal and authorized by the president. The provision would almost certainly result in the dismissal of the lawsuits. The Senate passed H.R. 6304 on July 9, 2008 by a vote of 69-28 (Roll Call 168). We have assigned pluses to the nays because warrantless searches are a violation of the Fourth Amendment, which protects Americans against unreasonable searches and seizures, and requires that any searches be conducted only upon issuance of a warrant under conditions of probable cause. Moreover, Article I, Section 9 of the Constitution forbids "ex post facto laws" -- laws having a retroactive effect. On the Motion (Motion To Concur In House Amdts To Senate Amdt To House Amdt To Senate Amdt To H.R. 2642): A bill making appropriations for military construction, the Department of Veterans Affairs, and related agencies for the fiscal year ending September 30, 2008, and for other purposes. Vote Date: June 26, 2008 Vote: AYE Bad Vote. Funds for War, Welfare, Etc. The Supplemental Appropriations bill (H.R. 2642) was agreed to 92-2 (Roll Call 162) on June 26, 2008. Such bills fund unforeseen needs after an annual budget has been approved. However, regular use of emergency supplemental bills to pay for never-ending wars, domestic welfare, and infrastructure programs has made the annual budget a misleading indicator of spending intentions. This $186.5 billion measure includes $161.8 billion of additional funding for operations in Iraq and Afghanistan. The remaining $24.7 billion is for domestic programs including tornado, flood, and hurricane relief efforts. It would also expand veterans' education benefits, expand unemployment benefits, and delay shifting some Medicaid costs to the states. We have assigned pluses to the nays because Congress continues to fund a war it never authorized under Article I, Section 8, of the Constitution. Also, the federal government is unconstitutionally involved as an individual and corporate insurer at taxpayer expense. On Overriding the Veto H.R. 6124: A bill to provide for the continuation of agricultural and other programs of the Department of Agriculture through fiscal year 2012, and for other purposes. Vote Date: June 18, 2008 Vote: AYE Bad Vote. Farm Bill (Veto Override). H.R. 6124 would authorize the nation's farm programs for the next five years, including crop subsidies and nutrition programs. The final version of the legislation provides $289 billion for these programs, including a $10.4 billion boost in spending for nutrition programs such as food stamps. After this five-year, $289 billion farm bill was vetoed by President Bush, the Senate passed the bill over the president's veto on June 18, 2008 by a vote of 80-14 (Roll Call 151). A two-thirds majority vote is required to override a presidential veto. We have assigned pluses to the nays because federal aid to farmers and federal food aid to individuals are not authorized by the Constitution. On the Cloture Motion S. 3044: A bill to provide energy price relief and hold oil companies and other entities accountable for their actions with regard to high energy prices, and for other purposes. Vote Date: June 10, 2008 Vote: NAY Good Vote. Energy Prices. A motion to limit debate and proceed to the Consumer-First Energy Act of 2008 (S. 3044) was rejected 51-43 (Roll Call 146) on June 10, 2008, in a vote that required three-fifths of the Senate to succeed. The bill would repeal $17 billion in tax breaks for oil companies over 10 years and redirect that revenue to the benefit of renewable energy. A windfall profits tax would also be imposed on the largest oil companies. We have assigned pluses to the nays because increasing taxes on the profits of U.S. oil producers would drive gasoline, heating oil, and natural gas prices higher, as the increased tax expense would simply be passed on to consumers. Targeting the largest U.S. oil companies for making higher profits creates a disincentive to increasing exploration and production, and undermines the exceedingly large capital base required to rebuild after hurricanes devastate the oil patch. Moreover, it is unfair because other companies and sectors with even higher profit margins are ignored. Finally, the government should not be subsidizing energy development. On the Cloture Motion S.Amdt. 4825 to S. 3036 (Lieberman-Warner Climate Security Act of 2008): In the nature of a substitute. Vote Date: June 6, 2008 Vote: AYE Bad Vote. Global Warming. The substitute amendment offered by Rep. Barbara Boxer (D-Calif.) to S. 3036 would have created a cap-and-trade system for reducing carbon dioxide and other greenhouse gases. The system would have forced utilities, factories, etc., to collectively reduce their greenhouse-gas emissions by 71 percent by 2050, though individual companies could emit more by purchasing allowances from companies that emit less. The cost to the economy would be in the trillions. The legislation was likely derailed for the remainder of 2008 when on June 6 proponents failed to invoke cloture on the Boxer substitute amendment. Invoking cloture would have limited debate so that the bill could come up for a vote. The cloture vote failed 48-36 (Roll Call 145), a dozen short of the 60 needed under Senate rules. We have assigned pluses to the nays because mandates on greenhouse-gas emissions are not constitutionally authorized and would harm the economy. On the Conference Report S.Con.Res. 70: An original concurrent resolution setting forth the congressional budget for the United States Government for fiscal year 2009 and including the appropriate budgetary levels for fiscal years 2008 and 2010 through 2013. Vote Date: June 4, 2008 Vote: NAY Good Vote. Budget Resolution. The final version of the Fiscal 2009 Budget Resolution (Senate Concurrent Resolution 70) was adopted 214-210 on June 5, 2008 (Roll Call 382). Drafted by the Democrats, this $3.03 trillion budget sets nonbinding limits for the 12 annual appropriations bills. Last year's $2.9 trillion budget allowed $145.2 billion for operations in Iraq and Afghanistan. The new budget included only $70 billion for the two wars in 2009 and nothing thereafter, an unrealistic notion that understates true spending intent and necessitates more war funding in a supplemental bill. The budget would be significantly higher if war funding were not largely off-budget. The plan predicts a hypothetical budget surplus by 2012, which is meaningless. All spending bills would be increased over 2008. The budget assumes that revenue will be stable or increase and that some tax cuts will expire. An increase was called for in the statutory debt ceiling by $800 billion to $10.6 trillion. That promptly occurred in the Fannie Mae and Freddie Mac bailout. The Senate adopted Senate Con. Res. 70 on June 4, 2008 by a vote of 48-45 (Roll Call 142). We have assigned pluses to the nays because inflation and the national debt are skyrocketing as Congress persistently disregards constitutional limits on spending. On the Conference Report H.R. 2419: A bill to provide for the continuation of agricultural programs through fiscal year 2012, and for other purposes. Vote Date: May 15, 2008 Vote: AYE Bad Vote. Farm Bill. H.R. 2419 would authorize the nation's farm programs for the next five years, including crop subsidies and nutrition programs. The final version of this legislation worked out by House and Senate conferees (known as a conference report) provides $289 billion for these programs, including a $10.4 billion boost in spending for nutrition programs such as food stamps. The Senate passed the final version of H.R. 2419 by a vote of 81-15 (Roll Call 130) on May 15, 2008. We have assigned pluses to the nays because federal aid to farmers and federal food aid to individuals are not authorized by the Constitution. On the Amendment S.Amdt. 4720 to S. 2284 (Flood Insurance Reform and Modernization Act of 2007): Of a perfecting nature. Vote Date: May 13, 2008 Vote: NAY Bad Vote. Oil Security via Domestic Production. Sen. Mitch McConnell (Ky.) offered an amendment (No. 4720) to S. 2284 that was rejected 42-56 on May 13, 2008 (Roll Call 123). This amendment to the Flood Insurance Reform bill would increase America's supply of energy and generate jobs by ending the moratorium on offshore oil and gas leasing for the Outer Continental Shelf off the Atlantic and Pacific coasts and part of the Arctic National Wildlife Refuge; open the oil shale reserves in Colorado, Utah, and Wyoming; encourage coal-to-liquid fuels; and seek to increase refinery capacity. Filling of the Strategic Petroleum Reserve would also be suspended for 180 days in an attempt to lower gas prices short-term. We have assigned pluses to the yeas because America is dangerously dependent on foreign oil and we should increase domestic oil production to mitigate an expected decline in foreign oil exports to America. Time is fleeting for preparing for a supply crisis. On Passage of the Bill H.R. 3221: A bill to provide needed housing reform and for other purposes. Vote Date: April 10, 2008 Vote: NONE No Vote. Mortgage Relief. H.R. 3221, the Foreclosure Prevention Act of 2008, passed 84-12 on April 10, 2008 (Roll Call 96). It was originally introduced in the House as an energy bill under another title and was passed as such in 2007. The Senate substituted a very different text, turning the bill into a vehicle for foreclosure prevention and returned it to the House for approval as three Senate amendments. Among the overall bill's many aspects, it reforms the Federal Housing Administration, providing it liquidity and changing its insurance program to help homeowners facing foreclosure to refinance; it includes a net operating loss proposal that Sen. Judd Gregg (R-N.H.) described as a multi-billion dollar bailout of the home-builders industry; it appropriates funding to states to redevelop foreclosed properties; and it would provide renewable-energy tax breaks. We have assigned pluses to the nays because it is unconstitutional for the federal government to be an insurer, and wealth redistributor. On the Concurrent Resolution S.Con.Res. 70: An original concurrent resolution setting forth the congressional budget for the United States Government for fiscal year 2009 and including the appropriate budgetary levels for fiscal years 2008 and 2010 through 2013. Vote Date: March 14, 2008 Vote: NAY Good Vote. 2009 Budget Resolution. Senate Concurrent Resolution 70, the Senate plan for a fiscal 2009 budget, was adopted 51-44 on March 14, 2008 (Roll Call 85). This non-binding budget recommends outlays of about $2.6 trillion for fiscal year 2009, with a deficit of $564 billion. A one year moratorium on earmarks was rejected. A $35 billion economic stimulus package would be provided for, with no fiscal offset. Tax breaks aimed at low-income households would be extended, such as the 10-percent tax bracket, marriage penalty relief, and the child tax credit. However, an extension for other tax cuts, including reduced tax rates for capital gains and dividends, was rejected. We have assigned pluses to the nays because Congress must discontinue unconstitutional and deficit spending. Otherwise the dollar could collapse. On Passage of the Bill S. 2248: An original bill to amend the Foreign Intelligence Surveillance Act of 1978, to modernize and streamline the provisions of that Act, and for other purposes. Vote Date: February 12, 2008 Vote: AYE Bad Vote. Warrantless Searches. S. 2248, the FISA Amendments Act of 2008, passed 68-29 on February 12, 2008 (Roll Call 20). The bill would amend the 1978 Foreign Intelligence Surveillance Act to effectively give the executive branch of the federal government a blank check to eavesdrop on telephone calls and e-mail messages between people in foreign countries and those in the United States. The bill includes retroactive immunity for telecommunications companies that have collaborated with federal agencies in the warrantless surveillance of American citizens. We have assigned pluses to the nays because warrantless wiretaps are a violation of the Fourth Amendment, which protects Americans against unreasonable searches and seizures, and requires that any searches be conducted only upon issuance of a warrant under conditions of probable cause. Moreover, Article I, Section 9 of the Constitution forbids "ex post facto laws" -- laws having a retroactive effect. On Passage of the Bill H.R. 5140: A bill to provide economic stimulus through recovery rebates to individuals, incentives for business investment, and an increase in conforming and FHA loan limits. Vote Date: February 7, 2008 Vote: AYE Bad Vote. Economic Stimulus. H.R. 5140, the Economic Stimulus package, whereby rebate checks were mailed to taxpayers, passed 81-16 on February 7, 2008 (Roll Call 10). It would provide about $150 billion in economic stimulus, including $101.1 billion in direct payments of rebate checks (typically $600) to most taxpayers in 2008 and temporary tax breaks for businesses. After the House resolved its differences with the Senate, the bill was cleared for President Bush, who signed it into law. We have assigned pluses to the nays because creating money out of thin air (which was what was done for the rebate checks) cannot improve the economy. On Passage of the Bill H.R. 3688: A bill to implement the United States-Peru Trade Promotion Agreement. Vote Date: December 4, 2007 Vote: AYE Bad Vote. Peru Free Trade Agreement. The Peru Free Trade Agreement (H.R. 3688) is another in a series of free-trade agreements to transfer the power to regulate trade (and other powers as well) to regional arrangements. A prime example is the North American Free Trade Agreement (NAFTA). However, as noted by the House Ways and Means Committee report on H.R. 3688, the Peru Free Trade Agreement is the first U.S. FTA to include -- in its core text fully enforceable commitments by the Parties to adopt, maintain, and enforce basic international labor standards, as stated in the 1988 ILO Declaration on Fundamental Principles and Rights at Work. -- The ILO, or International Labor Organization, is a UN agency. The Senate passed the Peru Free Trade Agreement on December 4, 2007 by a vote of 77-18 (Roll Call 413). We have assigned pluses to the nays because so-called free-trade arrangements threaten our national independence and harm our economy. On the Conference Report H.R. 1429: A bill to reauthorize the Head Start Act, to improve program quality, to expand access, and for other purposes. Vote Date: November 14, 2007 Vote: AYE Bad Vote. Head Start. The final version (conference report) of H.R. 1429, a bill to reauthorize the Head Start program through 2012, was adopted 381-36 on November 14, 2007 (Roll Call 1090). Head Start provides educational activities and social services for children up to age five from low-income families. The program received $6.9 billion in fiscal year 2007. $7 billion was authorized in the fiscal 2008 omnibus bill, but H.R. 1429 increased funding to $7.4 billion for fiscal 2008, $7.7 billion for 2009, and $8 billion for 2010. The income level at which families are eligible to participate was raised from 100 percent of the poverty level to 130 percent ($26,728 for a family of four). Some members opposed the bill because Head Start grants will not be allowed to faith-based organizations that hire employees on the basis of religious preference. We have assigned minuses to the yeas (there were no nays) because a federalized educational system is an unconstitutional and wasteful bureaucracy. Vote Date: November 8, 2007 Vote: AYE Bad Vote. Mukasey Confirmation. When Michael Mukasey testified at his confirmation hearings for attorney general, he repeatedly refused to say that waterboarding and other harsh interrogation techniques reportedly practiced by the CIA constituted torture and were therefore illegal. (Waterboarding is a form of controlled drowning.) He also stated, incredibly, that the president could operate outside laws passed by Congress if "what goes outside the statute lies within the authority of the president to defend the country." The Senate confirmed Michael Mukasey as U.S. attorney general on November 8, 2007, by a vote of 53-40 (Roll Call 407). In so doing, the U.S. Senate demonstrated its willingness to tolerate torture -- which is anathema to American values -- and its willingness to allow the president to trump laws passed by Congress in the name of national security. We have therefore assigned pluses to the nays. Vote Date: November 1, 2007 Vote: NAY Good Vote. Children's Health Insurance. H.R. 3963, the five-year, $60 billion SCHIP Extension bill, passed 64-30 on November 1, 2007 (Roll Call 403) and then went to the president, who vetoed it. This legislation is identical to that described under House vote #23, which occurred after the presidential veto. We have assigned pluses to the nays, because the Constitution does not authorize federal involvement in healthcare, even for children. On Passage of the Bill S. 294: A bill to reauthorize Amtrak, and for other purposes. Vote Date: October 30, 2007 Vote: AYE Bad Vote. Amtrak Reauthorization. This bill (S. 294) would authorize $11.4 billion for Amtrak funding over the next six years. That amount would include monies for operating subsidies ($3.3 billion) and capital grants ($4.9 billion). If passed, states would be required to provide a 20-percent match of funds. Senator Jim DeMint (R-S.C.) opposed the reauthorization of federal funds to Amtrak. According to DeMint, Amtrak routes are so unprofitable that each ticket is federally subsidized by hundreds of dollars. Amtrak was created in 1970 and has been operating under annual federal appropriation funds since 2002. The Senate passed S. 294 on October 30, 2007, by a vote of 70-22 (Roll Call 400). We have assigned pluses to the nays because spending billions of tax dollars for federal grants and subsidies for Amtrak transportation is unconstitutional. On the Cloture Motion S. 2205: A bill to authorize the cancellation of removal and adjustment of status of certain alien students who are long-term United States residents and who entered the United States as children, and for other purposes. Vote Date: October 24, 2007 Vote: NAY Good Vote. DREAM Act. After a number of failed attempts to pass the DREAM Act (S. 2205) as an amendment to larger bills, Senator Richard Durbin (D-Ill.) introduced this amnesty bill as a standalone piece of legislation. The DREAM Act would allow children who illegally entered the country before the age of 16 to remain in the United States and attend a college or university, taking advantage of government benefits. The Senate failed to invoke cloture on S. 2205 on October 24, 2007, by a vote of 52-44 (Roll Call 394). We have assigned pluses to the nays because the DREAM Act would implement an amnesty program by placing millions of illegal immigrants on a path toward citizenship. On Passage of the Bill H.R. 3043: A bill making appropriations for the Departments of Labor, Health and Human Services, and Education, and related agencies for the fiscal year ending September 30, 2008, and for other purposes. Vote Date: October 23, 2007 Vote: AYE Bad Vote. Labor-HHS-Education Appropriations. This massive appropriations bill (H.R. 3043) would appropriate $605.5 billion in fiscal 2008 for the Departments of Labor, Health and Human Services, and Education. This spending bill represents the largest domestic spending bill the Senate has passed in the 110th Congress. H.R. 3043 would provide monies for the Education Department ($63 billion), the Labor Department ($14.9 billion), the Department of Health and Human Services ($479.1 billion), and related agencies. The Senate passed H.R. 3043 on October 23, 2007, by a vote of 75-19 (Roll Call 391). We have assigned pluses to the nays because social-welfare programs and federal involvement in education are unconstitutional. On the Joint Resolution H.J.Res. 43: A joint resolution increasing the statutory limit on the public debt. Vote Date: September 27, 2007 Vote: NAY Good Vote. Debt Limit Increase. This bill (House Joint Resolution 43) would increase the national debt limit to an astronomical $9.8 trillion, an $850 billion increase. This increase would be the fifth time the national debt was raised since 2002, representing about a $3 trillion increase in just the last five years. The Senate passed House Joint Resolution 43 on September 27, 2007, by a vote of 53-42 (Roll Call 354). We have assigned pluses to the nays because raising the public debt limit by $850 billion facilitates continued, gross fiscal irresponsibility. On the Amendment S.Amdt. 2797 to H.R. 3074 (Transportation, Housing and Urban Development, and Related Agencies Appropriations Act, 2008): To prohibit the establishment of a program that allows Mexican truck drivers to operate beyond the commercial zones near the Mexican border. Vote Date: September 11, 2007 Vote: AYE Good Vote. Mexican Trucking. During consideration of the fiscal 2008 Transportation-HUD appropriations bill (H.R. 3074), Senator Byron Dorgan (D-N.D.) introduced an amendment to "prohibit the establishment of a program that allows Mexican truck drivers to operate beyond the commercial zones near the Mexican border." This amendment was introduced in response to a new pilot program that was launched in September that allows Mexican truckers to operate beyond the 25-mile radius of the Mexican border as previously limited. Opponents of the Mexican trucks argue that the newly launched program sponsored by the Department of Transportation would pose a threat to U.S. security and displace American workers. The Senate passed the Dorgan amendment to H.R. 3074 on September 11, 2007, by a vote of 75-23 (Roll Call 331). We have assigned pluses to the yeas because allowing Mexican trucks to travel freely across U.S. highways presents a threat to our national security and displaces American truckers whose jobs would be lost to Mexican workers. Vote Date: September 6, 2007 Vote: AYE Good Vote. UN "Peacekeeping" Increase. During consideration of the foreign-aid appropriations bill (H.R. 2764), Senator John Ensign (R-Nev.) introduced an amendment to strike a provision in H.R. 2764 that would increase the limit on the U.S. share of UN "peacekeeping" operations from 25 percent to 27.1 percent. The Senate rejected the Ensign amendment to H.R. 2764 on September 6, 2007, by a vote of 30-63 (Roll Call 317). We have assigned pluses to the yeas because the United States should not be funding UN "peacekeeping" period -- let alone increasing the amount. On Passage of the Bill H.R. 2764: A bill making appropriations for the Department of State, foreign operations, and related programs for the fiscal year ending September 30, 2008, and for other purposes. Vote Date: September 6, 2007 Vote: AYE Bad Vote. Foreign-aid Contributions. The fiscal 2008 foreign-aid appropriations bill (H.R. 2764) would authorize $34.4 billion for foreign-aid operations and economic assistance programs. In part, the bill would appropriate $9.1 billion for the U.S. Agency for International Development, $5.1 billion to combat HIV/AIDS and other diseases, and $1.2 billion for the Millennium Challenge Account. The Senate passed H.R. 2764 on September 6, 2007, by a vote of 81-12 (Roll Call 325). We have assigned pluses to the nays because foreign aid is unconstitutional. On Passage of the Bill S. 1927: A bill to amend the Foreign Intelligence Surveillance Act of 1978 to provide additional procedures for authorizing certain acquisitions of foreign intelligence information and for other purposes. Vote Date: August 3, 2007 Vote: AYE Bad Vote. Protect America Act. The Protect America Act (S. 1927) would amend the Foreign Intelligence Surveillance Act (FISA) to allow warrantless electronic surveillance (eavesdropping) of targets outside the United States regardless of whether they are communicating with someone within the United States. This surveillance had been conducted illegally by the CIA. Under this legislation, communications companies would be required to comply with surveillance requests and would be provided lawsuit protections. The Senate passed S. 1927 on August 3, 2007, by a vote of 60-28 (Roll Call 309). We have assigned pluses to the nays because warrantless surveillance of American citizens is a violation of the Fourth Amendment's prohibition "against unreasonable searches and seizures." Vote Date: August 2, 2007 Vote: NAY Good Vote. SCHIP. H.R. 976 would reauthorize the State Children's Health Insurance Program (SCHIP) to the amount of $60.2 billion for five years. The proposed amount would expand the program by $35.2 billion and cover an addition 6.1 million children. The Senate passed H.R. 976 on August 2, 2007, by a vote of 68-31 (Roll Call 307). We have assigned pluses to the nays because taxpayer-financed federal health insurance is unconstitutional. After successful passage of H.R. 976 in both the House and Senate, President Bush vetoed the measure on October 3, 2007. On the Cloture Motion S. 1639: A bill to provide for comprehensive immigration reform and for other purposes. Vote Date: June 28, 2007 Vote: NAY Good Vote. Immigration Reform -- Cloture. Attempting to end debate and force a final vote on so-called immigration reform, Senator Harry Reid (D-Nev.) invoked a motion for cloture on Ted Kennedy's Comprehensive Immigration Reform Act of 2007 (S. 1639). Kennedy's bill, also known as the "grand compromise" on immigration reform, was arrived at through negotiation between the Bush administration and Senate leaders. The Kennedy bill would, among other things, create an enhanced guest-worker program, call for the acceleration of the Security and Prosperity Partnership of North America, and establish the Z visa, which would grant amnesty by placing illegal immigrants on a path toward citizenship. The vote on cloture would reveal whether or not the Senate had enough votes to force a vote on final passage of S. 1639. The Senate rejected the motion to invoke cloture by a vote of 46-53 (Roll Call 235) on June 28, 2007 (60 votes are required to invoke cloture). We have assigned pluses to the nays because cloture would have ended floor debate on the Kennedy bill and enabled a vote by the full Senate on this dangerous piece of legislation. On the Amendment S.Amdt. 1157 to S.Amdt. 1150 to S. 1348 (Comprehensive Immigration Reform Act of 2007): To strike title VI (related to Nonimmigrants in the United States Previously in Unlawful Status). Vote Date: May 24, 2007 Vote: AYE Good Vote. Amnesty for Illegal Immigrants. David Vitter (R-La.) offered this amendment to Ted Kennedy's substitute amendment (S. Amdt. 1150) for the immigration reform bill of 2007 (S. 1348). The Vitter amendment would drastically alter the scope of the immigration bill by striking an amnesty provision from the bill that would establish the Z visa, which would be issued to millions of illegal immigrants, placing them on a path toward citizenship. The Senate rejected the Vitter amendment by a vote of 29-66 (Roll Call 180) on May 24, 2007. We have assigned pluses to the yeas because the Vitter amendment would prevent those who have entered the United States unlawfully from gaining legal status, also known as amnesty. On the Amendment S.Amdt. 1153 to S.Amdt. 1150 to S. 1348 (Comprehensive Immigration Reform Act of 2007): To strike the Y nonimmigrant guestworker program. Vote Date: May 22, 2007 Vote: NAY Bad Vote. Guest-worker Program. Senator Byron L. Dorgan (D-N.D.) introduced an amendment to strike the guest-worker provision of Ted Kennedy's substitute amendment (S. Amdt. 1150) for the immigration reform bill of 2007 (S. 1348). Kennedy's so-called guest-worker provision would create a renewable two-year guest-worker program, issue a guest-worker visa, and set an adjustable annual cap on the number of guest workers permitted in this country. The Dorgan amendment was rejected by a vote of 31-64 (Roll Call 174) on May 22, 2007. We have assigned pluses to the yeas because the guest-worker program would constitute a large increase in legal immigration for our country, which would ultimately displace more American workers from their jobs and depress wages. On the Conference Report H.R. 1591: A bill making emergency supplemental appropriations for the fiscal year ending September 30, 2007, and for other purposes. Vote Date: April 26, 2007 Vote: NAY Good Vote. Supplemental Spending -- Conference Report. The final version (conference report) of this supplemental appropriations bill (H.R. 1591) would provide an additional $124.2 billion for the previous fiscal year (fiscal 2007), over and above previous appropriations. Although the bill would set a timetable for the withdrawal of American troops in Iraq, it would also authorize an additional $95.5 billion to carry out military operations in Iraq and Afghanistan. Additionally, this seemingly catchall bill also would raise the federal minimum wage to $7.25 an hour and provide nearly $5 billion in small-business incentives. Even if the spending in this supplemental bill were constitutional, it should have been added to the federal budget in the annual appropriations process. The Senate passed the final version of H.R. 1591 by a vote of 51-46 (Roll Call 147) on April 26, 2007. We have assigned pluses to the nays for several reasons: it contains an enormous amount of unconstitutional spending, would raise the federal minimum wage, and would authorize money for the Iraq War. On Passage of the Bill S. 5: A bill to amend the Public Health Service Act to provide for human embryonic stem cell research. Vote Date: April 11, 2007 Vote: NAY Good Vote. Embryonic Stem-cell Research. The stem-cell research bill (S. 5), introduced by Senator Harry Reid (D-Nev.), would overturn the 2001 ban on federally funding embryonic stem-cell research with federal dollars. S. 5 would fund the research, experimentation, and destruction of human embryos donated from in vitro fertilization clinics. The Senate passed Reid's stem-cell research bill by a vote of 63-34 (Roll Call 127) on April 11, 2007. We have assigned pluses to the nays because the bill violates the right to life for millions of unborn babies. On the Amendment S.Amdt. 578 to S.Con.Res. 21: To repeal the death tax. Vote Date: March 23, 2007 Vote: AYE Good Vote. Repeal Estate Tax. During consideration of the fiscal 2008 budget resolution (Senate Concurrent Resolution 21), Senator Jim DeMint (R-S.C.) offered an amendment that would make the phased-out repeal of the estate tax (also known as the "death tax"Â) permanent. Under current law, the death tax will be phased out by 2010, but because of a "sunset" provision the tax will only be eliminated for a single year before being reinstituted. The tax has forced many asset-rich but cash-poor individuals to liquidate family farms, small businesses, and private property rather than bequeath those assets to loved ones. The Senate rejected the DeMint amendment by a vote of 44-55 (Roll Call 109) on March 23, 2007. We have assigned pluses to the yeas because repealing the estate tax would be a constitutional tax cut that would benefit all Americans who would be subject to estate taxes again in 2011 and all subsequent years according to current tax law. On the Amendment S.Amdt. 529 to S.Con.Res. 21: To increase funding for the COPS Program to $1.15 billion for FY 2008 to provide state and local law enforcement with critical resources necessary to prevent and respond to violent crime and acts of terrorism and is offset by an unallocated reduction to non-defense discretionary spending and/or reduction to administrative expenses. Vote Date: March 23, 2007 Vote: NAY Good Vote. COPS Funding. Joseph Biden (D-Del.) offered an amendment to the fiscal 2008 budget resolution (Senate Concurrent Resolution 21) that would authorize a $1.2 billion increase in federal funds to support the Community-Oriented Policing Services (COPS) program. The Senate passed the Biden amendment by a vote of 65-33 (Roll Call 110) on March 23, 2007. We have assigned pluses to the nays because providing federal aid to local law enforcement programs is not only unconstitutional, but it also further federalizes the police system. On the Resolution S.Con.Res. 21: An original concurrent resolution setting forth the congressional budget for the United States Government for fiscal year 2008 and including the appropriate budgetary levels for fiscal years 2007 and 2009 through 2012. Budget Resolution. The 2008 budget resolution (House Concurrent Resolution 21) would authorize nearly $2.9 trillion for fiscal 2008, a nearly $150 billion increase from fiscal 2007. The Senate adopted the fiscal 2008 budget resolution by a vote of 52-47 (Roll Call 114) on March 23, 2007. We have assigned pluses to the nays because Congress must not continue to support massive amounts of irresponsible and unconstitutional spending. On Passage of the Bill H.R. 2: A bill to amend the Fair Labor Standards Act of 1938 to provide for an increase in the Federal minimum wage. Vote Date: February 1, 2007 Vote: AYE Bad Vote. Minimum Wage. The minimum-wage bill (H.R. 2) would raise the federal minimum wage from $5.15 to $7.25 an hour over the course of two years. The bill would also provide $8.3 billion in small-business tax incentives. The Senate passed the minimum-wage increase by a vote of 94-3 (Roll Call 42) on February 1, 2007. We have assigned pluses to the nays because it is unconstitutional to prohibit citizens from working for less than a government-set wage. On the Amendment S.Amdt. 20 to S.Amdt. 3 to S. 1: To strike a provision relating to paid efforts to stimulate grassroots lobbying. Vote Date: January 18, 2007 Vote: AYE Good Vote. Grass-roots Lobbying. During consideration of the ethics and lobbying overhaul bill (S. 1), Senator Robert Bennett (R-Utah) offered this amendment that would strike Section 220, a provision that would subject grass-roots lobbying groups to strict disclosure requirements, from the bill. The bill caused a firestorm of controversy from grass-roots activists who saw this bill as a threat to the freedom of speech. Commenting on Section 220, LifeNews.com reported, "If this provision is enacted, many ordinary citizens will get less and less information from pro-life groups and other issue-oriented organizations about what is going on in Congress." The Senate adopted the Bennett amendment by a vote of 55-43 (Roll Call 17) on January 18, 2007. We have assigned pluses to the yeas because it would preserve the right of free speech for grass-roots organizations to inform the public about events on Capitol Hill without subjecting them to repressive regulatory controls. On Passage of the Bill H.R. 6061: A bill to establish operational control over the international land and maritime borders of the United States. Vote Date: September 29, 2006 Vote: AYE Good Vote. Border Fence. In the final hours because adjourning for their October recess, the Senate passed a Border Fencing bill (H.R. 6061) that would authorize the construction of nearly 700 miles of security fencing along the U.S.-Mexican border. The border fence is just the first of a series of border security initiatives that House Republicans intend to merge into the Homeland Security spending bill. If implemented, the 700 miles of fencing along the border would be a good first step toward protecting our borders from the massive influx of illegal immigration facing our country today. The Senate passed H.R. 6061 by a wide margin of 80-19 on September 29, 2006 (Roll Call 262). We have assigned pluses to the yeas because such a border fence would help prevent illegal immigration and further protect our borders. On Passage of the Bill S. 3930: A bill to authorize trial by military commission for violations of the law of war, and for other purposes. Vote Date: September 28, 2006 Vote: AYE Bad Vote. Military Tribunals. This bill (S. 3930) would authorize a new system of military tribunals to try persons designated "unlawful enemy combatants" by the president. The bill defines an unlawful enemy combatant to include a person who "has purposely and materially supported hostilities against the United States or its co-belligerents." Once designated an unlawful enemy combatant, a defendant's rights would be curtailed: he would be denied the right of habeas corpus; he could be detained indefinitely; and evidence obtained through coercion could be used against him -- so long as the coercion falls outside the administration's definition of torture. Critics of the tribunals bill are planning to file suit in order to test the constitutionality of the legislation. This legislation was in response to the U.S. Supreme Court's June 29 ruling on the case of Hamdan v. Rumsfeld, which declared that the administration's current system for trying military detainees was unconstitutional. The Senate passed S. 3930 by a vote of 65-34 on September 28, 2006 (Roll Call 259). We have assigned pluses to the nays because the bill would curtail defendant rights. On Passage of the Bill H.R. 5684: A bill to implement the United States-Oman Free Trade Agreement. Vote Date: September 19, 2006 Vote: NAY Good Vote. Oman Trade Agreement. The Oman Free Trade Agreement (H.R. 5684) would reduce most tariffs and duties between Oman and the United States. H.R. 5684 was considered under fast-track authority, which requires Congress to expedite consideration of presidentially negotiated trade pacts without offering amendments. The Oman agreement is just one stepping-stone in the White House's effort to form a Middle Eastern Free Trade Area (MEFTA) by 2013. These so-called free-trade agreements have historically failed because they encourage the relocation of U.S. jobs to foreign countries so that the companies can get cheap labor. Meanwhile, they don't provide the United States with trade benefits -- largely because the people in those countries cannot afford to buy our products -- thereby harming the U.S. economy. The agreements also put our economic destiny in the hands of unelected foreign bureaucrats, such as those at the World Trade Organization. The Senate passed H.R. 5684 on September 19, 2006 by a vote of 62-32 (Roll Call 250). We have assigned pluses to the nays because such trade agreements damage the U.S. economy and threaten U.S. sovereignty by the imposition of international regulations. On Passage of the Bill S. 3711: A bill to enhance the energy independence and security of the United States by providing for exploration, development, and production activities for mineral resources in the Gulf of Mexico, and for other purposes. Vote Date: August 1, 2006 Vote: AYE Good Vote. Offshore Drilling. Sen. Pete Domenici (R-N.M.) sponsored a bill (S. 3711) that would authorize oil drilling in the 8.3 million acres of the eastern Gulf of Mexico. The Senate would allow much less offshore drilling than the House-passed legislation (see House bill below); however, it would still be a step in the right direction. The Senate passed S. 3711 on August 1, 2006 by a vote of 71-25. (Roll Call 219). We have assigned pluses to the yeas because the United States should reduce its dependency on foreign oil and utilize it own energy resources. On Passage of the Bill S. 403: A bill to amend title 18, United States Code, to prohibit taking minors across State lines in circumvention of laws requiring the involvement of parents in abortion decisions. Vote Date: July 25, 2006 Vote: AYE Good Vote. Parental Notification. The Child Custody Protection Act (S. 403) would make it a federal crime for a person to transport a minor across state lines for an abortion in order to bypass state laws requiring parental notification. The Senate passed S. 403 by a vote of 65-34 on July 25, 2006 (Roll Call 216). We have assigned pluses to the yeas because Congress can and should use its power to regulate interstate commerce to restrict abortion. On Passage of the Bill H.R. 810: A bill to amend the Public Health Service Act to provide for human embryonic stem cell research. Vote Date: July 18, 2006 Vote: NAY Good Vote. Stem-cell Research. The embryonic stem-cell research bill (H.R. 810) would allow federal funds to be used for research on embryonic stem-cell lines derived from surplus embryos at in vitro fertilization clinics. Such research would be done only by cannibalizing and destroying human embryos. Proponents contend that the research is needed to combat various diseases, but stem cells derived from sources other than embryos may be used to achieve the same results. The Senate passed H.R. 810 by a vote of 63-37 on July 18, 2006 (Roll Call 206). It prompted President Bush to use his veto power for the first time in his presidency. We have assigned pluses to the nays because such research would violate the right to life for millions of unborn children. On the Motion (Motion to Waive CBA Re: Dodd Amdt. No. 4641): To fund urgent priorities for our Nation's firefighters, law enforcement personnel, emergency medical personnel, and all Americans by reducing the tax breaks for individuals with annual incomes in excess of $1,000,000. Vote Date: July 13, 2006 Vote: NAY Good Vote. First Responder Grants. During consideration for the Homeland Security Appropriations bill (H.R. 5441) Sen. Chris Dodd (D-Conn.) proposed an amendment to increase funding for police, firefighters, and other local and state personnel by $16.5 billion. A point of order was raised against Dodd's amendment based on the Budget Act, and the Senate effectively killed the amendment when it rejected the motion to wave the Budget Act. The vote was 38-62 on July 13, 2006 (Roll Call 197). We have assigned pluses to the nays because federal funding of local law enforcement will lead to more federal control of law enforcement. On the Amendment S.Amdt. 4615 to H.R. 5441 (Department of Homeland Security Appropriations Act, 2007): To prohibit the confiscation of a firearm during an emergency or major disaster if the possession of such firearm is not prohibited under Federal or State law. Vote Date: July 13, 2006 Vote: AYE Good Vote. Firearm Seizure. During consideration for the Homeland Security appropriations bill (H.R. 5441) Sen. David Vitter (R-La.) offered an amendment that would prohibit any funds in the bill from being used to seize lawfully owned firearms during a state of emergency. Vitter said this amendment was prompted by the confiscation of over 1,000 firearms by law enforcement officials in the aftermath of Hurricane Katrina. The Senate overwhelmingly passed the Vitter amendment by a vote of 84-16 on July 13, 2006 (Roll Call 202). We have assigned pluses to the yeas because gun confiscation violates the Second Amendment. On the Amendment S.Amdt. 4442 to S. 2766 (John Warner National Defense Authorization Act for Fiscal Year 2007): To require the redeployment of United States Armed Forces from Iraq in order to further a political solution in Iraq, encourage the people of Iraq to provide for their own security, and achieve victory in the war on terror. Vote Date: June 22, 2006 Vote: NAY Bad Vote. Iraq Troop Withdrawal. Senator John Kerry (D-Mass.) attached this amendment to the Defense authorization bill (S. 2766) that would require the president to have a complete withdrawal of U.S. troops by July 2007, with the exception of those needed to train Iraqi troops, target terrorists, and protect American citizens. The Senate rejected Kerry's amendment on June 22, 2006 by a vote of 13-86 (Roll Call 181). We have assigned pluses to the yeas because our troops should only be sent to war when necessary to defend the United States and her citizens, and only when declared by Congress. On the Amendment S.Amdt. 4322 to S. 2766 (John Warner National Defense Authorization Act for Fiscal Year 2007): To amend the Fair Labor Standards Act of 1938 to provide for an increase in the Federal minimum wage. Vote Date: June 21, 2006 Vote: NAY Good Vote. Minimum Wage. Senator Ted Kennedy (D-Mass.) offered this amendment to the Defense authorization bill (S. 2766). If implemented, the amendment would increase the national minimum wage from $5.15 to $7.25/hour within the next two years. Although a minimum wage increase sounds like an easy way to alleviate poverty in this country, it actually raises poverty. This is true because companies can not afford to hire entry-level workers and train them for careers; companies are forced to lay off workers they presently have on staff; and additional people are added to the welfare roles. The Senate rejected Kennedy's amendment on June 21, 2006 by a vote of 52-46 (Roll Call 179). We have assigned pluses to the nays because it is unconstitutional for the government to prohibit citizens from working for less than a government-set price. Vote Date: May 26, 2006 Vote: NONE No Vote. Hayden Nomination. This measure would confirm Gen. Michael V. Hayden as the director of the Central Intelligence Agency, making him the first member of the military to hold the position. There are many concerns about Hayden leading the CIA, including Hayden's involvement in secret programs targeting unknowing U.S. citizens while principal deputy director of National Intelligence. The general was also the chief architect and defender of the controversial domestic surveillance program that President Bush has so adamantly supported. The Senate confirmed General Hayden on May 26, 2006 by a vote of 78-15 (Roll Call 160). We have assigned pluses to the nays because Hayden has been in the forefront of governmental programs threatening the privacy of American citizens and should not be trusted to lead an organization such as the CIA. On Passage of the Bill S. 2611: A bill to provide for comprehensive immigration reform and for other purposes. Vote Date: May 25, 2006 Vote: NAY Good Vote. Guest-worker/Amnesty Immigration "Reform." The Senate version of immigration "reform" (S. 2611) would effectively grant amnesty to the 12 million illegal immigrants who already reside in the United States and create a guest-worker program for up to 200,000 immigrants a year. Although S. 2611 may provide additional security at the border, it would also reward those who have broken the law by granting them legal status and establish an immigrant verification system managed by the Department of Homeland Security. The Senate passed S. 2611 on May 25, 2006 by a vote of 62-36 (Roll Call 157). We have assigned pluses to the nays because the bill would reward those who have unlawfully entered the country with legal status and greatly increase the level of legal immigration through guest-worker programs. On the Amendment S.Amdt. 3961 to S. 2611 (Comprehensive Immigration Reform Act of 2006): To prohibit the granting of legal status, or adjustment of current status, to any individual who enters or entered the United States in violation of Federal law unless the border security measures authorized under Title I and section 233 are fully completed and fully operational. Vote Date: May 16, 2006 Vote: AYE Good Vote. Secure Borders Certification. During consideration of the immigration "reform" legislation (S. 2611), Sen. Johnny Isakson (R-Ga.) introduced this amendment that would require the Department of Homeland Security to certify that the U.S. borders are secure and additional detention facilities for illegal aliens are functional before any guest-worker and legalization programs can take effect. The Senate rejected Isakson's amendment on May 16, 2006 by a vote of 40-55 (Roll Call 121). We have assigned pluses to the yeas because this amendment would make border security a higher priority than amnesty, but would make it more difficult for the administration to implement amnesty. On Passage of the Bill H.R. 4939: A bill making emergency supplemental appropriations for the fiscal year ending September 30, 2006, and for other purposes. Vote Date: May 4, 2006 Vote: AYE Bad Vote. Supplemental Appropriations. The Senate version of H.R. 4939 would appropriate $108.9 billion in emergency supplemental funding in fiscal 2006, about $17 billion more than the House-passed version (see House bill below). Most of this funding difference is due to the additional Katrina aid the Senate version would provide, $28.9 billion as opposed to $19.2 billion. The Senate passed its version of H.R. 4939 by a vote of 77-21 on May 4, 2006 (Roll Call 112). We have assigned pluses to the nays because -- even if the spending were constitutional -- the funding should be attached to the regular appropriations process and not introduced after the fact as "emergency" spending, ignoring fiscal responsibility. On the Joint Resolution H.J.Res. 47: A joint resolution increasing the statutory limit on the public debt. Vote Date: March 16, 2006 Vote: AYE Bad Vote. National Debt Limit. This legislation (House Joint Resolution 47) would increase the national debt limit, also known as the federal debt limit, to $8.97 trillion, a $781 billion increase in what the federal government is allowed to borrow. The Senate adopted the measure to increase the national debt limit on March 16, 2006 by a vote of 52-48 (Roll Call 54). We have assigned pluses to the nays because raising the public debt limit by $781 billion facilitates a steady increase of gross fiscal irresponsibility. On the Amendment S.Amdt. 3048 to S.Con.Res. 83: To increase the advance appropriations allowance in order to fund health, education and training, and low-income programs. Health and Education Programs. During consideration of the Fiscal 2007 Budget Resolution, Sen. Arlen Specter (R-Pa.) introduced this amendment that would provide for a $7 billion increase in funding for health, education and training, and poverty programs. The Senate passed Specter's amendment on March 16, 2006 by a vote 73-27 (Roll Call 58). We have assigned pluses to the nays because federal social-welfare programs are unconstitutional. On the Conference Report H.R. 3199: A bill to extend and modify authorities needed to combat terrorism, and for other purposes. Vote Date: March 2, 2006 Vote: AYE Bad Vote. Patriot Act Reauthorization. This is the final version (conference report) of the Patriot Act reauthorization (H.R. 3199). In the weeks following the 9/11 terrorist attacks, Congress quickly passed the so-called Patriot Act, which gave law enforcement and intelligence agencies vast new powers to combat terrorism. The act increased the ability of law enforcement to secretly search home and business records, expanded the FBI's wiretapping and surveillance authority, and expanded the list of crimes deemed terrorist acts. When passed in 2001 the bill included a "sunset" provision under which the new surveillance powers "shall cease to have effect on December 21, 2005." The Patriot Act reauthorization bill (H.R. 3199) considered by Congress last year would make permanent 14 of the 16 provisions included in the bill, and extend for four years the two remaining provisions. The Senate adopted the conference report for H.R. 3199 on March 2, 2006 by a vote of 89-10 (Roll Call 29). We have assigned pluses to the nays because the Patriot Act tramples on the constitutionally protected rights of U.S. citizens. On the Amendment S.Amdt. 2519 to S. 1042 (National Defense Authorization Act for Fiscal Year 2006): To clarify and recommend changes to the policy of the United States on Iraq and to require reports on certain matters relating to Iraq. Vote Date: November 15, 2005 Vote: NAY Bad Vote. Iraq Withdrawal. During consideration of the defense authorization bill (S. 1042), Rep. Carl Levin (D-Mich.) introduced this amendment requiring the president to provide Congress with a timetable for the withdrawal of American troops from Iraq within 30 days of the bill's implementation. The Senate rejected the Levin amendment on November 15, 2005 by a vote of 40-58 (Roll Call 322). We have assigned pluses to the yeas because our troops should be sent to war only when necessary to defend the United States and her citizens, and when Congress declares war. On the Conference Report H.R. 3057: An act making appropriations for the Department of State, foreign operations, and related programs for the fiscal year ending September 30, 2006, and for other purposes. Vote Date: November 10, 2005 Vote: AYE Bad Vote. Foreign Aid. The final version (conference report) of this appropriations bill (H.R. 3057) would provide $21 billion for U.S. foreign aid programs in fiscal 2006. The Senate passed this appropriations bill on November 10, 2005 by a unanimous vote of 91-0 (Roll Call 320). We have assigned minuses to the yeas because foreign aid programs are not authorized by the Constitution. On the Conference Report H.R. 2744: A bill making appropriations for Agriculture, Rural Development, Food and Drug Administration, and Related Agencies for the fiscal year ending September 30, 2006, and for other purposes. Vote Date: November 3, 2005 Vote: AYE Bad Vote. Agriculture Appropriations. The final version (conference report) of this bill (H.R. 2744) would provide $101 billion in fiscal 2006 for the Department of Agriculture, the Food and Drug Administration, and related agencies. The funding includes $40.7 billion for the food-stamp program and $25.7 billion for the Commodity Credit Corporation, a federally funded program that aids farmers. The Senate passed the final version of H.R. 2744 on November 3, 2005 by a vote of 81-18 (Roll Call 282). We have assigned pluses to the nays because federal aid to farmers and federal food aid to individuals are not authorized by the Constitution. On the Amendment S.Amdt. 2358 to S. 1932 (Deficit Reduction Act of 2005): To strike the title relating to the establishment of an oil and gas leasing program in the Coastal Plain. Vote Date: November 3, 2005 Vote: NAY Good Vote. ANWR Oil and Gas Leasing. During consideration of the budget reconciliation bill (S. 1932), Sen. Maria Cantwell (D-Wash.) offered an amendment that would delete from the underlying bill language allowing for "the establishment of an oil and gas leasing program in the Coastal Plain" of the Arctic National Wildlife Refuge (ANWR) in Alaska. Cantwell's intent was to keep in place the present ban against drilling for oil and natural gas in the energy-rich ANWR. The Senate rejected the Cantwell amendment on November 3, 2005 by a vote of 48-51 (Roll Call 288). We have assigned pluses for the nays because the United States should reduce its dependence on foreign oil and develop its own energy resources. On Passage of the Bill H.R. 3010: A bill making appropriations for the Departments of Labor, Health and Human Services, and Education, and Related Agencies for the fiscal year ending September 30, 2006, and for other purposes. Vote Date: October 27, 2005 Vote: AYE Bad Vote. Labor-HHS-Education. The Senate version of this mammoth social-welfare appropriations bill (H.R. 3010) would provide a total of $604.4 billion in fiscal 2006 for the Labor Department ($15 billion), the Education Department ($63.7 billion), the Health and Human Services Department ($476.2 billion), and related agencies. The Senate passed this massive social-welfare bill on October 27, 2005 by a vote of 94-3 (Roll Call 281). We have assigned pluses to the nays because social-welfare programs are unconstitutional. On the Motion (Motion to Waive CBA Kenedy Amdt. No. 2063 As Modified Further): To provide for an increase in the Federal minimum wage. Vote Date: October 19, 2005 Vote: NAY Good Vote. Minimum Wage Increase. During consideration of the Transportation-Treasury-Housing appropriations bill (H.R. 3058), Sen. Ted Kennedy (D-Mass.) offered an amendment to raise the minimum wage from $5.15 an hour to $5.70 an hour six months after the bill's enactment, and then to $6.25 an hour one year after the bill's enactment. While raising the minimum wage may sound appealing to some unskilled workers, it would actually make many of them too expensive to hire, and it would also make starting up new companies more expensive. The Senate rejected Kennedy's amendment on October 19, 2005 by a vote of 47-51 (Roll Call 257). We have assigned pluses to the nays because it is unconstitutional for the government to prohibit American citizens from working for less than a federally mandated minimum wage. On Passage of the Bill H.R. 2744: A bill making appropriations for Agriculture, Rural Development, Food and Drug Administration, and Related Agencies for the fiscal year ending September 30, 2006, and for other purposes. Vote Date: September 22, 2005 Vote: AYE Bad Vote. Agriculture Appropriations. This bill (H.R. 2744) would provide $100.7 billion in fiscal 2006 for the Agriculture Department, the Food and Drug Administration, and related agencies. The funding includes $40.7 billion for the food stamp program, $12.4 billion for school meal programs, and $25.7 billion for the Commodity Credit Corporation, which aids farmers. The Senate passed the Agriculture appropriations bill on September 22, 2005 by a vote of 97-2 (Roll Call 241). We have assigned pluses to the nays because federal aid to farmers and federal food aid to individuals are not authorized in the Constitution. On the Amendment S.Amdt. 1661 to H.R. 2862 (Science, State, Justice, Commerce, and Related Agencies Appropriations Act, 2006): To provide emergency funding for victims of Hurricane Katrina. Vote Date: September 13, 2005 Vote: NAY Good Vote. Funding Law Enforcement. During consideration of the Fiscal 2006 Commerce-Justice-Science appropriations bill (H.R. 2862), Sen. Joseph Biden (D-Del.) offered this amendment to increase funding for the Community Oriented Policing Services program by $1 billion, to increase funding for the National Center for Missing and Exploited Children by $10 million, to increase funding for the Office of Violence Against Women by $9 million, and to designate these increases as emergency spending. A point of order was made against the emergency designation based on the Budget Act, and the Senate effectively killed the Biden amendment when it rejected a motion to waive the Budget Act. The vote was 41-56 on September 13, 2005 (Roll Call 226). We have assigned pluses to the nays because providing federal aid to law enforcement programs is not only unconstitutional, but it also further federalizes the police system. On Passage of the Bill H.R. 3673: A bill making further emergency supplemental appropriations to meet immediate needs arising from the consequences of Hurricane Katrina, for the fiscal year ending September 30, 2005, and for other purposes. Vote Date: September 8, 2005 Vote: AYE Bad Vote. Katrina Hurricane-relief Appropriations. In the wake of the devastating hurricane disaster in the Gulf Coast, Congress quickly passed legislation that would appropriate $51.8 billion in emergency supplemental funding for fiscal 2005 (H.R. 3673) to be used for relief in the areas affected by Hurricane Katrina. Commenting on how the tragic images of Katrina were used to justify more federal welfare and interventionism, as opposed to private charity and initiatives, Rep. Ron Paul (R-Texas) noted on September 15, after the House and Senate votes: "These scenes prompted two emotional reactions. One side claims Katrina proved there was not enough government welfare.... The other side claims we need to pump billions of new dollars into the very federal agency that failed (FEMA).... Both sides support more authoritarianism, more centralization, and even the imposition of martial law in times of natural disasters." The Senate passed this supplemental appropriations bill on September 8, 2005 by a vote of 97-0 (Roll Call 223). We have assigned minuses to the yeas because federally financing disaster relief is unconstitutional. On the Conference Report H.R. 2361: A bill making appropriations for the Department of the Interior, environment, and related agencies for the fiscal year ending September 30, 2006, and for other purposes. Vote Date: July 29, 2005 Vote: AYE Bad Vote. Interior-Environment Appropriations. The final version (conference report) of this appropriations bill (H.R. 2361) would provide $26.2 billion in fiscal 2006 for the Interior Department, the Environmental Protection Agency, and related agencies, including $7.7 billion for the EPA. All but roughly $50 million provided in H.R. 2361 is deemed "discretionary" funds. The Senate passed this appropriations bill on July 29, 2005 by a vote of 99-1 (Roll Call 210). We have assigned a plus to the lone nay because the bill's provisions include both unnecessary and unconstitutional spending. On the Conference Report H.R. 3: A bill to authorize funds for Federal-aid highways, highway safety programs, and transit programs, and for other purposes. Surface Transportation. The final version (conference report) of this bill (H.R. 3) would authorize $286.5 billion for federal highway, mass transit, and safety and research programs through fiscal 2009. The bill is laden with thousands of "pork barrel" transportation projects requested by individual lawmakers. The Senate adopted the conference report on July 29, 2005 by a vote of 91-4 (Roll Call 220). We have assigned pluses to the nays because the bill increases transportation spending and is fiscally irresponsible. On Passage of the Bill H.R. 3057: An act making appropriations for the Department of State, foreign operations, and related programs for the fiscal year ending September 30, 2006, and for other purposes. Vote Date: July 20, 2005 Vote: AYE Bad Vote. Foreign Aid. The Senate version of the foreign aid appropriations bill (H.R. 3057) would provide $31.8 billion in fiscal 2006 for U.S. foreign aid programs. The Senate passed this appropriations bill on July 20, 2005 by a vote of 98-1 (Roll Call 197). We have assigned a plus to the lone nay because foreign aid is unconstitutional. On the Amendment S.Amdt. 1242 to H.R. 3057 (Foreign Operations, Export Financing, and Related Programs Appropriations Act, 2006): To prohibit any funds from being used by the Export-Import Bank of the United States to approve a loan or a loan guarantee related to a nuclear project in China. Vote Date: July 19, 2005 Vote: NAY Bad Vote. Nuclear Power Plants in China. During consideration of the foreign aid appropriations bill, Sen. Tom Coburn (R-Okla.) introduced this amendment to prohibit the Export-Import Bank, a U.S. government agency, from providing federal loans or loan guarantees for the construction of nuclear power plants in China. The amendment would block federal assistance to the British-owned nuclear division of Westinghouse to build such plants. The Senate rejected Coburn's amendment on July 19, 2005 by a vote of 37-62 (Roll Call 192). We have assigned pluses to the yeas because foreign aid programs are unconstitutional. On Passage of the Bill S. 1307: A bill to implement the Dominican Republic-Central America-United States Free Trade Agreement. Vote Date: June 30, 2005 Vote: AYE Bad Vote. CAFTA. This bill (S. 1307) would implement the proposed Central American Free Trade Agreement (CAFTA), thereby expanding both the North American Free Trade Agreement (NAFTA) and the job losses wrought by NAFTA. CAFTA is intended by the Power Elite to be a steppingstone from NAFTA to the proposed Free Trade Area of the Americas (FTAA), which would include all of the countries of the Western Hemisphere except (for now) Cuba. Like NAFTA, which has already begun imposing its trade rulings on America, CAFTA and the FTAA would not be genuine free trade arrangements; they would instead manage trade and would gradually exercise more powers on the road to a supranational government modeled after the EU. The Senate passed the CAFTA bill on June 30, 2005 by a vote of 54-45 (Roll Call 170). We have assigned pluses to the nays because CAFTA would further damage the U.S. economy and threaten U.S. sovereignty. On the Conference Report H.R. 1268: An act making Emergency Supplemental Appropriations for Defense, the Global War on Terror, and Tsunami Relief, for the fiscal year ending September 30, 2005, and for other purposes. Vote Date: May 10, 2005 Vote: AYE Bad Vote. Supplemental Appropriations. The final version (conference report) of this supplemental appropriations bill (H.R. 1268) would add another $82 billion to the federal budget for fiscal 2005. The supplemental spending, even if needed and constitutional, should not have been added on to the annual federal budget after the fact, but should have been included as part of the regular appropriations process. The supplemental spending in this bill includes $75.9 billion for defense-related purposes, most of it for the military occupation of Iraq, and $907 million for tsunami victims, the latter clearly unconstitutional. One particularly objectionable element of this legislation is the REAL ID Act, which was added to the supplemental appropriations bill by the conference committee. The REAL ID Act would authorize the federal government to impose national standards for driver's licenses and thereby develop a national ID system. The Senate adopted the conference report on May 10, 2005 by a vote of 100-0 (Roll Call 117). We assigned minuses to the yeas because the bill contains both unconstitutional spending and the REAL ID Act. On the Cloture Motion S.Amdt. 375 to H.R. 1268 (Emergency Supplemental Appropriations Act for Defense, the Global War on Terror, and Tsunami Relief, 2005): To provide for the adjustment of status of certain foreign agricultural workers, to amend the Immigration and Nationality Act to reform the H-2A worker program under that Act, to provide a stable, legal agricultural workforce, to extend basic legal protections and better working conditions to more workers, and for other purposes. Vote Date: April 19, 2005 Vote: NAY Good Vote. AgJOBS (Amnesty). Sen. Larry Craig (R-Idaho) tried to get the so-called AgJOBS bill through the Senate by attaching it as an amendment to the supplemental appropriations bill (H.R. 1268). The AgJOBS measure would grant agricultural workers who are in this country illegally temporary residence status, thereby granting them amnesty and putting them on a path toward U.S. citizenship. If adopted, AgJOBS would be an open invitation for other non-citizens to cross our borders illegally with the expectation that they too would receive amnesty. AgJOBS supporters attempted to push their measure forward by invoking "cloture," thereby limiting the debate that has stalled the measure, bringing it up for a vote. A three-fifths majority vote of the entire Senate (60 votes) is needed to invoke cloture. The Senate rejected the motion to invoke cloture on April 19, 2005 by a vote of 53-45 (Roll Call 98). We have assigned pluses to the nays because the AgJOBS measure would provide amnesty to many illegal aliens. On the Amendment S.Amdt. 464 to H.R. 1268 (Emergency Supplemental Appropriations Act for Defense, the Global War on Terror, and Tsunami Relief, 2005): To express the sense of the Senate on future requests for funding for military operations in Afghanistan and Iraq. Vote Date: April 18, 2005 Vote: NAY Bad Vote. Budgeting for Overseas Military Operations. During consideration of the supplemental appropriations bill (H.R. 1268), Senator Robert Byrd (D-W.Va.) proposed a nonbinding amendment stating that "any request for funds ... for an ongoing military operation overseas, including operations in Afghanistan and Iraq, should be included in the annual budget of the President." Arguing for his amendment on the Senate floor, Byrd expressed frustration that funding for the wars in Iraq and Afghanistan has been provided by "stopgap spending" and "emergency supplemental spending bills," when this funding should instead be accounted for in the annual budget. The Senate adopted this amendment on April 18, 2005 by a vote of 61-31 (Roll Call 96). We have assigned pluses to the yeas because the amendment would encourage fiscal responsibility. On the Amendment S.Amdt. 278 to S. 600 (Foreign Affairs Authorization Act, Fiscal Years 2006 and 2007): To prohibit the application of certain restrictive eligibility requirements to foreign nongovernmental organizations with respect to the provision of assistance under part I of the Foreign Assistance Act of 1961. Vote Date: April 5, 2005 Vote: NAY Good Vote. Abortion. During consideration of the State Department authorization bill (S. 600), Sen. Barbara Boxer (D-Calif.) offered an amendment to repeal the rule prohibiting U.S. foreign aid from going to organizations that provide or promote abortions. Known as the "Mexico City" policy, this rule was imposed by President Reagan, lifted by President Clinton, and then reinstated by the second President Bush. The Senate adopted Boxer's amendment on April 5, 2005 by a vote of 52-46 (Roll Call 83). We have assigned pluses to the nays because any federal aid to provide or promote abortions violates the right to life. On the Amendment S.Amdt. 239 to S.Con.Res. 18: Relative to funding to the Office of Community Oriented Policing Services. Vote Date: March 17, 2005 Vote: NAY Good Vote. The Senate rejected Biden's amendment on March 17, 2005 by a vote of 45-55 (Roll Call 70). We have assigned pluses to the nays because federal aid to local police forces is unconstitutional and invites federal control. On the Amendment S.Amdt. 202 to S.Con.Res. 18: No Statement of Purpose on File. Funding Special Education. During consideration of the budget resolution (S. Con. Res. 18), Sen. Mark Dayton (D-Minn.) offered an amendment to provide a fund of $71.3 billion for special education programs under the Individuals with Disabilities Education Act (IDEA). The Senate rejected this amendment on March 17, 2005 by a vote of 37-63 (Roll Call 79). We have assigned pluses to the nays because federal funding of education is unconstitutional. On the Amendment S.Amdt. 168 to S.Con.Res. 18: To strike section 201(a)(4) relative to the Arctic National Wildlife Refuge. Vote Date: March 16, 2005 Vote: NAY Good Vote. Alaskan Drilling. During consideration of the budget resolution (S. Con. Res. 18), Senator Maria Cantwell (D-Wash.) offered an amendment to delete language in the resolution that would allow leases for oil and gas exploration and development in the Arctic National Wildlife Refuge (ANWR). Like a similar House amendment (see House bill below), the intent behind this amendment is to continue the ban against drilling for oil and gas in the ANWR. The Senate rejected Cantwell's amendment on March 16, 2005 by a vote of 49-51 (Roll Call 52). We have assigned pluses to the nays because the United States should develop its own energy resources and reduce its dependence on foreign oil. On Passage of the Bill S. 250: A bill to amend the Carl D. Perkins Vocational and Technical Education Act of 1998 to improve the Act. Vote Date: March 10, 2005 Vote: AYE Bad Vote. Vocational/Technical Training. This legislation, like the House version (see House bill below), would reauthorize the Carl D. Perkins Vocational and Technical Education Act. The Senate version (S. 250) would authorize $1.3 billion for vocational and job training programs. The Senate passed S. 250 on March 10, 2005 by a vote of 99-0 (Roll Call 43). We have assigned minuses to the yeas because federal aid to education and job-training programs is unconstitutional. On the Amendment S.Amdt. 44 to S. 256 (Bankruptcy Abuse Prevention and Consumer Protection Act of 2005): To amend the Fair Labor Standards Act of 1938 to provide for an increase in the Federal minimum wage. Vote Date: March 7, 2005 Vote: NAY Good Vote. Minimum Wage. During consideration of the bankruptcy overhaul bill (S. 256), Sen. Ted Kennedy (D-Mass.) offered an amendment to raise the minimum wage from $5.15 an hour to $7.25 an hour. The minimum wage was last raised in 1996 by 90 cents, a far less ambitious amount than Kennedy's $2.10 proposed increase. While this proposal may look tempting to many unskilled workers, it would actually make many of them too expensive to hire. The Senate rejected Kennedy's amendment on March 7, 2005 by a vote of 46-49 (Roll Call 26). We have assigned pluses to the nays because it is unconstitutional for the government to prohibit citizens from working for less than a government-set minimum wage. On the Conference Report H.R. 1308: An act to amend the Internal Revenue Code of 1986 to provide tax relief for working families, and for other purposes. Vote Date: September 23, 2004 Vote: AYE Good Vote. Extending Tax Cuts. The final version (conference report) of this tax-cut legislation (H.R. 1308) would benefit most Americans by extending the life of several middle-class tax breaks set to expire at the end of this year. It would extend provisions providing relief from the "marriage penalty" through 2008, extend the $1,000 per child income tax credit through 2009, and keep a greater number of taxpayers in the 10 percent income tax bracket through 2010. It would also revive some expired business tax incentives. The Senate adopted the conference report on H.R. 1308 on September 23, 2004 by a vote of 92 to 3 (Roll Call 188). We have assigned pluses to the yeas because the bill would extend the life of tax cuts, benefiting a large number of Americans. On the Motion (Motion to Waive CBA Re: Dodd Amdt. No. 3604): To increase the among provided for first responder programs, and to provide offsets. Vote Date: September 9, 2004 Vote: NONE No Vote. Federal Funding of First Responders. During consideration of the Homeland Security appropriations bill (H.R. 4567), Sen. Chris Dodd (D-Conn.) proposed an amendment to increase funding by $15.8 billion for police, fire fighters, and other local and state emergency personnel. It would also require the Secretary of the Treasury to "take such action as is necessary" to offset this additional expense by reducing tax savings under the 2001 tax law for individuals making $1 million or more. A point of order was raised against Dodd's amendment based on Budget Act requirements, and that, in turn, led to a motion to waive the point of order. The Senate rejected the motion -- thereby killing the amendment -- on September 9, 2004 by a vote of 41 to 53 (Roll Call 170). We have assigned pluses to the nays because federal funding of local law enforcement will lead to more federal control, and the federal government should not be funding local law enforcement in the first place. On the Motion (DeWine Amdt. No. 3563): To protect the public health by providing the Food and Drug Administration with certain authority to regulate tobacco products, to eliminate the Federal quota and price support programs for tobacco, and to provide assistance to quota holders, tobacco producers, and tobacco-dependent communities. Vote Date: July 15, 2004 Vote: AYE Bad Vote. FDA Regulation of Tobacco. During consideration of a corporate tax bill (H.R. 4520), Sen. Mike DeWine (R-Ohio) offered an amendment to authorize the FDA to regulate tobacco for the first time and to couple this new regulation with a $12 billion, 10-year buyout to pay tobacco farmers for relinquishing government quotas governing how much tobacco they can grow. The FDA would be authorized to ban many ingredients in cigarettes, but Congress would retain veto power over any regulatory attempt to ban nicotine in cigarettes or to ban cigarettes completely. The Senate adopted DeWine's amendment on July 15, 2004 by a vote of 78 to 15 (Roll Call 157). We have assigned pluses to the nays because the FDA should not be regulating tobacco like a pharmaceutical drug. On the Amendment S.Amdt. 3502 to H.R. 4613 (Department of Defense Appropriations Act, 2005): To express the sense of the Senate on budgeting and funding of ongoing military operations overseas. Vote Date: June 24, 2004 Vote: NAY Bad Vote. Budgeting for Overseas Military Operations. During consideration of the Defense appropriations bill (H.R. 4613), Sen. Robert Byrd (D-W.Va.) proposed a nonbinding amendment urging that the president include in his annual budget "any request for funds ... for an ongoing military operation overseas, including operations in Afghanistan and Iraq," and that such funding should be appropriated in regular accounts. In remarks on the Senate floor, Byrd expressed frustration that the administration has failed to estimate war costs and has made "stop-gap" and "emergency supplemental" spending requests that have caused mistakes in materiel requisitions -- the failure to request sufficient funds for body armor, for instance. Byrd described his amendment as "a simple, common-sense approach that promotes fiscal responsibility." The Senate adopted Byrd's amendment on June 24, 2004 by a vote of 89 to 9 (Roll Call 147). We have assigned pluses to the yeas because his amendment would encourage fiscal responsibility. On the Motion to Table S.Amdt. 3520 to H.R. 4613 (Department of Defense Appropriations Act, 2005): To appropriate funds for bilateral economic assistance. Vote Date: June 24, 2004 Vote: AYE Good Vote. Foreign Aid. During consideration of the Defense appropriations bill (H.R. 4613), Sen. Joe Biden (D-Del.) proposed an amendment to add $118 million in emergency funding "to respond to the humanitarian crisis in the Darfur region of Sudan and in Chad." The $118 million would be on top of $95 million already provided by the bill for that purpose. The Senate agreed to a motion to table (kill) Biden's amendment on June 24, 2004 by a vote of 53 to 45 (Roll Call 148). We have assigned pluses to the yeas -- that is, those who voted to kill the amendment -- because foreign aid is unconstitutional. On the Amendment S.Amdt. 3338 to S. 2400 (Ronald W. Reagan National Defense Authorization Act for Fiscal Year 2005): To reallocate for Ground-based Midcourse interceptors to homeland defense and combatting terrorism. Vote Date: June 22, 2004 Vote: NAY Good Vote. Missile Defense. Sen. Carl Levin (D-Mich.) offered an amendment to shift $515.5 million in the Defense authorization bill (S. 2400) from ground-based missile interceptors to nuclear nonproliferation programs and homeland security. The Senate rejected Levin's amendment on June 22, 2004 by a vote of 44 to 56 (Roll Call 133). We have assigned pluses to the nays because the U.S. needs a means of protecting the homeland against incoming ballistic missiles. On the Amendment S.Amdt. 3368 to S. 2400 (Ronald W. Reagan National Defense Authorization Act for Fiscal Year 2005): To allow deployment of the ground-based midcourse defense element of the national ballistic missile defense system only after the mission-related capabilities of the system have been confirmed by operationally realistic testing. Vote Date: June 17, 2004 Vote: NAY Good Vote. Missile Defense. 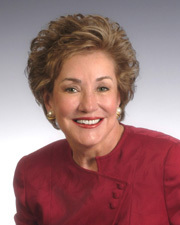 During consideration of the Defense authorization bill (S. 2400), Sen. Barbara Boxer (D-Calif.) offered an amendment that would prohibit deployment of a ground-based system of missile interceptors until "the Secretary of Defense certifies ... that the capabilities of the system ... have been confirmed by operationally realistic testing of the system." The problem with Boxer's amendment is that the system cannot be operationally tested without initial deployment, scheduled for later in the year in Alaska. "If you prohibit this 'deployment,' you prohibit operationally realistic testing -- and prevent the very basis for the certification that the amendment requires," noted Senate Armed Services Committee Chairman John Warner (R-Va.). The Senate rejected Boxer's amendment on June 17, 2004 by a vote of 42 to 57 (Roll Call 124). We have assigned pluses to the nays because national defense is a constitutional function of the federal government. On the Amendment S.Amdt. 3379 to S. 2400 (Ronald W. Reagan National Defense Authorization Act for Fiscal Year 2005): To provide funds for the security and stabilization of Iraq by suspending a portion of the reduction in the highest income tax rate for individual taxpayers. Tax Rate Increase. Sen. Joe Biden (D-Del.) proposed a measure, in the form of an amendment to the Defense authorization bill (S. 2400), to increase the top income tax rate from 35 percent to 36 percent, starting in 2005 and lasting until 2010. The additional revenue would be earmarked for security and stabilization operations in Iraq. The Senate rejected Biden's amendment on June 17, 2004 by a vote of 44 to 53 (Roll Call 130). We have assigned pluses to the nays because the amendment would increase taxes. On the Amendment S.Amdt. 3263 to S. 2400 (Ronald W. Reagan National Defense Authorization Act for Fiscal Year 2005): To prohibit the use of funds for the support of new nuclear weapons development under the Stockpile Services Advanced Concepts Initiative or for the Robust Nuclear Earth Penetrator (RNEP). Vote Date: June 15, 2004 Vote: NAY Good Vote. Nuclear Weapons Study. Sen. Ted Kennedy (D-Mass.) sponsored this amendment to prohibit the use of $36.6 million authorized by the Defense authorization bill (S. 2400) for two feasibility studies into options for modernizing our nuclear stockpile -- one pertaining to "bunker buster" weapons that would explode deep underground, and the other an Advanced Concepts Initiative including research into a "low yield" nuclear weapon. Sen. Wayne Allard (R-Colo.), who opposed Kennedy's amendment, noted that our existing nuclear stockpile "was developed for a massive nuclear exchange with one nation. Today, these weapons are too powerful and may result in greater damage than necessary to neutralize a target." The Senate rejected Kennedy's amendment on June 15, 2004 by a vote of 42 to 55 (Roll Call 113). We have assigned pluses to the nays because national defense is a constitutional function of the federal government. On the Amendment S.Amdt. 3183 to S. 2400 (Ronald W. Reagan National Defense Authorization Act for Fiscal Year 2005): To provide Federal assistance to States and local jurisdictions to prosecute hate crimes. Hate Crimes. Sen. Gordon Smith (R-Ore.) proposed a measure, in the form of an amendment to the Defense authorization bill (S. 2400), to expand the definition of "hate crimes" to include assaults based on sexual orientation, gender, or disability. Current federal hate crimes law imposes stricter sentences when assaults are based on race, ethnicity, or religion. The Senate adopted Smith's amendment on June 15, 2004 by a vote of 65 to 33 (Roll Call 114). We have assigned pluses to the nays because Smith's amendment would further federalize the criminal code, and because "hate crimes" measures are intended to punish not just criminal acts but the thoughts behind them. On Passage of the Bill H.R. 1350: A bill to reauthorize the Individuals with Disabilities Education Act, and for other purposes. Vote Date: May 13, 2004 Vote: AYE Bad Vote. IDEA Reauthorization. This bill (H.R. 1350) would reauthorize the Individuals with Disabilities Education Act (IDEA). It would provide for full federal funding by 2011 of 40 percent of the average per pupil costs for certain programs under IDEA by authorizing discretionary spending increases of $2.3 billion per year. For fiscal 2005, H.R. 1350 would authorize a total of $12.4 billion for IDEA grants. The Senate passed H.R. 1350 on May 13, 2004 by a vote of 95 to 3 (Roll Call 94). We have assigned pluses to the nays because federal aid to education is unconstitutional. On the Motion (Motion to Waive CBA Re: Cantwell Amdt. No. 3114): To extend the Temporary Extended Unemployment Compensation Act of 2002, and for other purposes. Vote Date: May 11, 2004 Vote: AYE Bad Vote. Unemployment Insurance. This amendment by Senator Maria Cantwell (D-Wash.) to S. 1637 (Corporate Tax Overhaul) would authorize a six-month federal program to provide an additional 13 weeks of unemployment benefits for people who have exhausted their 26 weeks of state jobless benefits. Senator Don Nickles (R-Okla.) raised a point of order against the Cantwell amendment on the basis of Budget Act restrictions. Senator Cantwell moved to waive the Budget Act with respect to the Cantwell amendment, but the Senate rejected her motion on May 11, 2004 by a vote of 59 to 40 (Roll Call 88), thereby effectively killing the Cantwell amendment. We have assigned pluses to the nays because payment of unemployment benefits is an unconstitutional activity of the federal government. A three-fifths majority (60) of the total Senate is required to waive the Budget Act. On Passage of the Bill S. 150: A bill to make permanent the moratorium on taxes on Internet access and multiple and discriminatory taxes on electronic commerce imposed by the Internet Tax Freedom Act. Vote Date: April 29, 2004 Vote: AYE Good Vote. Internet Tax Moratorium. This bill (S. 150), as amended, would extend the Internet tax moratorium for four years. The Senate passed S. 150 on April 29, 2004 by a vote of 93 to 3 (Roll Call 77). We have assigned pluses to the yeas because this bill would prevent some forms of taxation on Internet users for an additional four years. On the Amendment S.Amdt. 2937 to H.R. 4 (PRIDE Act): To provide additional funding for child care. Vote Date: March 30, 2004 Vote: AYE Bad Vote. Child-care Funding. This amendment to H.R. 4 (Welfare Reauthorization) would increase "mandatory" child-care funding by $6 billion over the next five years (fiscal 2005 to 2009). The federal government currently provides $4.8 billion annually for child care through a combination of "mandatory" and "discretionary" programs. The Senate adopted this amendment to H.R. 4 on March 30, 2004 by a vote of 78 to 20 (Roll Call 64). We have assigned pluses to the nays because child care funding is an unconstitutional activity of the federal government. On the Concurrent Resolution S.Con.Res. 95: An original concurrent resolution setting forth the congressional budget for the United States Government for fiscal year 2005 and including the appropriate budgetary levels for fiscal years 2006 through 2009. Vote Date: March 12, 2004 Vote: AYE Bad Vote. Fiscal 2005 Budget Resolution. This resolution (Senate Concurrent Resolution 95) would establish broad spending and revenue targets over the next five years. It calls for $851 billion in "discretionary" spending (including $30 billion for supplemental funding of operations in Iraq and Afghanistan) and another $1.5 trillion in "mandatory" spending for fiscal 2005. Based on these targets, the "mandatory" spending portion of the budget would increase by 5 percent over last year, and the total budget -- a whopping $2.4 trillion -- would increase by 3 percent. The Senate adopted S. Con. Res. 95 on March 12, 2004 by a vote of 51 to 45 (Roll Call 58). We have assigned pluses to the nays because this budget perpetuates the fiscally irresponsible, largely unconstitutional federal spending with its attendant record-breaking deficits of recent years. On the Amendment S.Amdt. 2637 to S. 1805 (Protection of Lawful Commerce in Arms Act): To provide for a 10-year extension of the assault weapons ban. Vote Date: March 2, 2004 Vote: NAY Good Vote. Assault Weapons Ban. This amendment to S. 1805 (Firearms Manufacturers Protection) would provide for a 10-year reauthorization of the so-called assault weapons ban. If Congress doesn't vote to reauthorize the ban, it will expire in September 2004. The Senate adopted this amendment to S. 1805 on March 2, 2004 by a vote of 52 to 47 (Roll Call 24). We have assigned pluses to the nays because this so-called assault weapons ban is an unconstitutional infringement on the Second Amendment. Senate Republicans had introduced S. 1805 to help protect firearms manufacturers from industry-threatening lawsuits. However, they withdrew their support after gun control advocates won adoption of two "poison pill" amendments -- this amendment and a requirement for criminal background checks for all firearms purchases at gun shows (see S.Amdt. 2636 below) -- and S. 1805 was rejected. On the Amendment S.Amdt. 2636 to S. 1805 (Protection of Lawful Commerce in Arms Act): To require criminal background checks on all firearms transactions occurring at events that provide a venue for the sale, offer for sale, transfer, or exchange of firearms, and for other purposes. Gun Show Checks. This amendment to S. 1805 (Firearms Manufacturers Protection) would require criminal background checks on all firearms purchases at gun shows where at least 75 guns are sold. The Senate adopted this amendment to S. 1805 on March 2, 2004 by a vote of 53 to 46 (Roll Call 25). We have assigned pluses to the nays because these restrictions on firearm transactions at gun shows would be an unconstitutional infringement on the Second Amendment. Subsequently, the Senate rejected S. 1805 by a vote of 8 to 90. On Passage of the Bill S. 1072: A bill to authorize funds for Federal-aid highways, highway safety programs, and transit programs, and for other purposes. Vote Date: February 12, 2004 Vote: AYE Bad Vote. Surface Transportation. This bill (S. 1072) would authorize $318 billion in federal aid over six years (fiscal 2004-2009) for highways ($255 billion), mass transit ($56.5 billion), and highway safety programs ($6 billion). This bill also promises that states would receive at least a 95 percent return on their highway trust fund "contributions" by 2009.
spending by 21 percent. But the Senate added an additional $62 billion to the bill (24 percent more than the president had requested). The Senate passed S. 1072 on February 12, 2004 by a vote of 76 to 21 (Roll Call 14). We have assigned pluses to the nays because this double-digit increase in spending on surface transportation is fiscally irresponsible, particularly during a time of record-breaking federal deficits. On the Conference Report H.R. 2673: A bill making appropriations for Agriculture, Rural Development, Food and Drug Administration, and Related Agencies for the fiscal year ending September 30, 2004, and for other purposes. Vote Date: January 22, 2004 Vote: AYE Bad Vote. Fiscal 2004 Omnibus Appropriations. Adoption of this conference report on H.R. 2673 (Fiscal 2004 Omnibus Appropriations) would provide a total of $820 billion in fiscal 2004, including $328.1 billion in "discretionary" spending, for a whole laundry list of federal departments and agencies. On January 22, Congressional Quarterly described this bill as "among the biggest appropriations packages ever written by Congress." Total fiscal year 2004 spending (both "mandatory" and "discretionary") in this bill includes $80.6 billion (up 8.0 percent) for the Agriculture Department, Food and Drug Administration, Commodity Futures Trading Commission and related agencies; $38.4 billion (up 1.3 percent) for the Commerce, Justice and State departments and judicial agencies; $545 million (up 7.1 percent) for the District of Columbia; $17.3 billion (down 27 percent) for foreign aid and export assistance; $471.8 billion (up 11.5 percent) for the Labor, Health and Human Services, and Education Departments; $89.8 billion (up 3.7 percent) for the Transportation and Treasury Departments and related independent agencies; and $124.0 billion (up 4.4 percent) for the Veterans Affairs and Housing and Urban Development Departments. The Senate adopted the conference report on H.R. 2673 on January 22, 2004 by a vote of 65 to 28 (Roll Call 3). We have assigned pluses to the nays because this bill not only perpetuates huge amounts of unconstitutional federal spending, it also contains many spending increases for various federal agencies despite the fact that annual federal deficits have mushroomed to record levels. On the Conference Report H.R. 1: An act to amend title XVIII of the Social Security Act to provide for a voluntary prescription drug benefit under the medicare program and to strengthen and improve the medicare program, and for other purposes. Vote Date: November 25, 2003 Vote: AYE Bad Vote. Prescription Drug Benefit. The final version (conference report) of H.R. 1 would create a prescription drug benefit for Medicare recipients. Beginning in 2006, prescription coverage would be available to seniors through private insurers for a monthly premium estimated at $35. There would be a $250 annual deductible, then 75 percent of drug costs up to $2,250 would be reimbursed. Drug costs greater than $2,250 would not be covered until out-of-pocket expenses exceeded $3,600, after which 95 percent of drug costs would be reimbursed. Low-income recipients would receive more subsidies than other seniors by paying lower premiums, having smaller deductibles, and making lower co-payments for each prescription. The total cost of the new prescription drug benefit would be limited to the $400 billion that Congress had budgeted earlier this year for the first 10 years of this new entitlement program. The Senate adopted the conference report on H.R. 1 on November 25, 2003 by a vote of 54 to 44 (Roll Call 459). We have assigned pluses to the nays because this landmark legislation establishes a major new, unconstitutional entitlement program. On the Motion (Motion To Table Daschle Amdt. No. 2078): Expressing the sense of the Senate regarding country of origin labeling requirements. Vote Date: November 6, 2003 Vote: AYE Bad Vote. Country of Origin Labeling. The House version of H.R. 2673 (Fiscal 2004 Omnibus Appropriations) included a provision stating: "None of the funds appropriated or otherwise made available by this Act shall be used for the implementation of Country of Origin Labeling for meat or meat products." The intent of this provision, of course, is to end country of origin labeling requirements for meat by denying the funding for enforcement. During Senate consideration of this legislation, Senator Tom Daschle (D-S.D.) offered an amendment expressing the "sense of the Senate" that the Senate conferees insist that no such restriction on the use of funding appear in the final version of the bill. The Senate rejected a motion to table (kill) this amendment to H.R. 2673 on November 6, 2003 by a vote of 36 to 58 (Roll Call 443). We have assigned pluses to the "nays" -- that is, those who opposed killing the amendment -- because country of origin labeling is a useful tool for (to quote the Constitution) "regulating commerce with foreign nations." The Daschle amendment was adopted by voice vote later the same day. On Passage of the Bill H.R. 2673: A bill making appropriations for Agriculture, Rural Development, Food and Drug Administration, and Related Agencies for the fiscal year ending September 30, 2004, and for other purposes. The Senate passed H.R. 2673 on November 6, 2003 by a vote of 93 to 1 (Roll Call 444). We have assigned a plus to the nays because federal aid to farmers and federal food aid to individuals are unconstitutional activities of the federal government. On the Motion to Table S.Amdt. 2065 to S. 1753 (National Consumer Credit Reporting System Improvement Act of 2003): To provide for data-mining reports to Congress. Vote Date: November 4, 2003 Vote: AYE Bad Vote. Data Mining. This amendment to S. 1753 (National Consumer Credit Reporting System Improvement Act of 2003) would require each federal agency or department engaged in data mining to submit a public report to Congress. Data mining involves the use of computer systems to scan through vast amounts of electronic information to detect patterns and trends. Sen. Russell Feingold (D-Wis.) introduced this amendment because of his concerns about Total Information Awareness-type programs being developed at various federal agencies. His amendment would require the reports to Congress to assess "the likely impact of the implementation of the data-mining technology on privacy and civil liberties...."
The Senate agreed to a motion to table (kill) this amendment to S. 1753 on November 4, 2003 by a vote of 61 to 32 (Roll Call 435). We have assigned pluses to the "nays" -- that is, those who opposed killing the amendment -- because federal data mining activity is clearly a threat to the Fourth Amendment, which guarantees "the right of the people to be secure in their persons, houses, papers, and effects, against unreasonable searches and seizures." On the Amendment S.Amdt. 2028 to S. 139 (Climate Stewardship Act of 2003): To provide for a program of scientific research on abrupt climate change, to accelerate the reduction of greenhouse gas emissions in the United States by establishing a market-driven system of greenhouse gas tradeable allowances, to limit greenhouse gas emissions in the United States and reduce dependence upon foreign oil, and ensure benefits to consumers from the trading in such allowances. Vote Date: October 30, 2003 Vote: NAY Good Vote. Global Warming. This substitute amendment to S. 139 (Climate Stewardship Act of 2003) by Joseph Lieberman (D-Conn.) would mandate that so-called greenhouse gas emissions be reduced to 2000 levels by 2010. Greenhouse gases would be defined as carbon dioxide, methane, nitrous oxide, hydrofluorocarbons, perfluorocarbons and sulfur hexafluoride. Other provisions of the substitute amendment include a program of scientific research on climate change, a national greenhouse database, and a market driven system of greenhouse gas tradable allowances. The Senate rejected this substitute amendment to S. 139 on October 30, 2003 by a vote of 43 to 55 (Roll Call 420). We have assigned pluses to the nays because this amendment would have established restrictions on so-called greenhouse gas emissions based on the myth of catastrophic global warming. On the Conference Report S. 3: A bill to prohibit the procedure commonly known as partial-birth abortion. Vote Date: October 21, 2003 Vote: AYE Good Vote. Partial-birth Abortion Ban. The final version (conference report) of S. 3 would ban partial-birth abortions. Although on March 12 the Senate had amended their version of S. 3 to include a reaffirmation of Roe v. Wade, on September 30 a 10-member House-Senate conference committee agreed to report out a final version of the bill identical to one (H.R. 760) that passed the House earlier this year without any reaffirmation of Roe v. Wade. Of course, all abortion procedures should be banned. But this bill is still a step in the right direction in that it is better to ban one abortion procedure than to ban none at all. The Senate adopted the conference report on S. 3 on October 21, 2003 by a vote of 64 to 34 (Roll Call 402). We have assigned pluses to the yeas because all forms of abortion constitute the murder of preborn children, and the Supreme Court, in its Roe v. Wade decision, overstepped its proper authority by "legalizing" abortion in the first place. On Passage of the Bill S. 1689: An original bill making emergency supplemental appropriations for Iraq and Afghanistan security and reconstruction for the fiscal year ending September 30, 2004, and for other purposes. Vote Date: October 17, 2003 Vote: AYE Bad Vote. The Senate passed S. 1689 on October 17, 2003 by a vote of 87 to 12 (Roll Call 400). We have assigned pluses to the nays because the U.S. military was sent into Iraq to enforce UN resolutions, when the only proper use of our nation's armed forces is to protect the lives and property of American citizens, and the huge U.S.-funded infrastructure rebuilding program in Iraq and Afghanistan is another example of unconstitutional foreign aid. On Passage of the Bill H.R. 2660: A bill making appropriations for the Departments of Labor, Health and Human Services, and Education, and related agencies for the fiscal year ending September 30, 2004, and for other purposes. Vote Date: September 10, 2003 Vote: AYE Bad Vote. The Senate passed H.R. 2660 on September 10, 2003 by a vote of 94 to 0 (Roll Call 347). We have assigned minuses to the yeas because this bill represents a significant increase in spending, and these departments are not authorized by the Constitution. On Passage of the Bill H.R. 2739: A bill to implement the United States-Singapore Free Trade Agreement. Vote Date: July 31, 2003 Vote: NAY Good Vote. U.S.-Singapore Trade. This bill (H.R. 2739) would implement a trade agreement to reduce tariffs and trade barriers between the United States and Singapore. A similar bill, the U.S.-Chile Trade Agreement (H.R. 2738), was presented to Congress at the same time as the U.S.-Singapore Trade Agreement. These are the first in a series of bilateral and regional free trade agreements (FTAs) that the Bush administration is negotiating, which will culminate in 2005 in the largest and most significant FTA of them all, the Free Trade Area of the Americas (FTAA). The model for the FTAA is the European Union (EU), formerly the "Common Market," which has grown by design from a supposed free trade agreement into a supranational government for Europe. The world order architects intend for the FTAA to follow the same trajectory for the Americas. The Senate passed H.R. 2739 on July 31, 2003 by a vote of 66 to 32 (Roll Call 318). We have assigned pluses to the nays because these bilateral "free trade" agreements are intended to be stepping-stones to the FTAA, which would set trade (and eventually other) policies for the member nations. However, under the U.S. Constitution only Congress has the power "to regulate commerce with foreign nations, and among the several states...."
On Passage of the Bill H.R. 2738: A bill to implement the United States-Chile Free Trade Agreement. Vote Date: July 31, 2003 Vote: AYE Bad Vote. [ U.S.-Singapore Trade. This bill (H.R. 2739) would implement a trade agreement to reduce tariffs and trade barriers between the United States and Singapore. A similar bill, the U.S.-Chile Trade Agreement (H.R. 2738), was presented to Congress at the same time as the U.S.-Singapore Trade Agreement. These are the first in a series of bilateral and regional free trade agreements (FTAs) that the Bush administration is negotiating, which will culminate in 2005 in the largest and most significant FTA of them all, the Free Trade Area of the Americas (FTAA). The Senate passed H.R. 2738 on July 31, 2003 by a vote of 65 to 32 (Roll Call 319). We have assigned pluses to the nays because these bilateral "free trade" agreements are intended to be stepping-stones to the FTAA, which would set trade (and eventually other) policies for the member nations. However, under the U.S. Constitution only Congress has the power "to regulate commerce with foreign nations, and among the several states...."
On the Amendment S.Amdt. 1384 to S. 14 (Energy Policy Act of 2003): To amend title 49, United States Code, to improve the system for enhancing automobile fuel efficiency. Vote Date: July 29, 2003 Vote: NAY Good Vote. Fuel Economy Standards. This amendment to S. 14 (Energy Policy Act of 2003) by Richard Durbin (D-Ill.) would mandate an increase in the Corporate Average Fuel Economy (CAFE) standards. The CAFE standard for passenger vehicles made before 2006 would be 25 miles per gallon. From model years 2006 to 2015 the CAFE standard would gradually increase to 40 miles per gallon. This new standard would initially be less than the current 27.5 miles per gallon, but only because "passenger automobile" would be redefined to include the previously exempted SUVs and passenger vans. Since neither legislators nor manufacturers have a magic wand to reduce the amount of gas required to move a certain mass a certain distance, this radical legislation -- akin to ordering the sun never to set -- would effectively force manufacturers to reduce vehicle size, thereby limiting consumer choices and making vehicles less safe. The Senate rejected this amendment to S. 14 on July 29, 2003 by a vote of 32 to 65 (Roll Call 309). We have assigned pluses to the nays because this amendment would have authorized unconstitutional regulation of consumer choice of vehicle size. On the Conference Report H.R. 2: To provide for reconciliation pursuant to section 201 of the concurrent resolution on the budget for fiscal year 2004. Vote Date: May 23, 2003 Vote: AYE Good Vote. Tax Reductions. The final version of the $350 billion tax-cut package (the conference report on H.R. 2) would provide tax breaks over 11 years. Dividends, currently taxed the same as other earned income, would instead be taxed at 15 percent for most taxpayers through 2008. Lower-income dividend recipients would be taxed at 5 percent through 2007 and nothing in 2008. The current 20 percent top rate on capital gains on investments held at least one year would drop to 15 percent, with lower-income investors paying 5 percent through 2007 and nothing in 2008. Both dividend and capital gains tax reductions would expire after 2008. Among other tax reductions, income tax cuts enacted in 2001 for individuals and scheduled to be effective in 2006 would be accelerated; parents would receive refunds of up to $400 per child this summer. The Senate adopted the conference report on H.R. 2 on May 23, 2003 with Vice President Cheney casting a yea vote to break a 50 to 50 tie (Roll Call 196). We have assigned pluses to the yeas because this bill will cut taxes for large numbers of Americans, both individuals and businesses. On Passage of the Bill H.J.Res. 51: A joint resolution increasing the statutory limit on the public debt. Vote Date: May 23, 2003 Vote: AYE Bad Vote. Debt Limit Increase. This resolution (House Joint Resolution 51) would raise the public debt ceiling by $984 billion. Last year the public debt ceiling was increased by $450 billion. These huge increases in the public debt ceiling are necessitated by the fact that federal spending is increasing -- and so are the annual deficits. The solution is not to allow the federal government to borrow more money but to cut spending. The Senate passed H. J. Res. 51 on May 23, 2003 by a vote of 53 to 44 (Roll Call 202). We have assigned pluses to the nays because raising the public debt limit by $984 billion facilitates continued, gross fiscal irresponsibility. On the Motion (Motion To Waive C.B.A. Kennedy Amdt No. 544): To provide for additional weeks of temporary extended unemployment compensation and to provide for a program of temporary enhanced regular unemployment compensation, and for other purposes. Vote Date: May 15, 2003 Vote: NAY Good Vote. Budget Resolution -- Final Version. The final version (conference report) of the budget resolution (House Concurrent Resolution 95) would authorize federal spending for fiscal 2004 of $1,861 billion dollars with a deficit of $558 billion and an increase in the public debt ceiling of $984 billion. This planned deficit of $558 billion dwarfs the previous record federal deficit of $290 billion in 1992. The $984 billion increase in the public debt ceiling authorized in this bill constituted, under Rule XXVII of the House, approval of the debt limit increase bill (House Joint Resolution 51) without having to cast a separate vote just on increasing the debt ceiling. Subsequently the Senate passed H. J. Res. 51 and President Bush signed it into law, increasing the public debt ceiling by $984 billion (for a new total of $7.4 trillion) and giving Congress a green light to continue its fiscally irresponsible ways. This resolution also includes $400 billion for a Medicare prescription drug benefit for 2004-2013. The Senate adopted the conference is similar to H.R. 2185. It would extend the Temporary Extended Unemployment Compensation Act of 2002 through November; however, it would provide 26 weeks of federal aid, compared to 13 weeks in H.R. 2185, to workers in all states who have exhausted their 26 weeks of state unemployment benefits. There would be an additional seven weeks of federal aid for workers in the states with the highest unemployment. A point of order was raised against Kennedy's amendment on the basis of Budget Act restrictions. The Senate failed to waive the Budget Act with respect to Kennedy's amendment on May 15, 2003 by a vote of 50 to 49 (Roll Call 152). A three-fifths majority vote (60) of the total Senate is needed to waive the Budget Act. We have assigned pluses to the nays because federal aid to unemployed workers is unconstitutional. On the Motion (Motion to Waive C.B.A. re: Murray Amdt. No. 564): To provide temporary State fiscal relief. State Aid. This proposed amendment to the Senate version of the tax reductions bill (S. 1054) would provide $40 billion in aid to states. Half of this would be for general revenue sharing with states and their local governments. The other half would be used to increase federal Medicaid assistance to states for the last two quarters of fiscal 2003 and all of fiscal 2004. A point of order was raised against this amendment on the basis of Budget Act restrictions. The Senate failed to waive the Budget Act with respect to the amendment on May 15, 2003 by a vote of 47 to 52 (Roll Call 158). A three-fifths majority vote (60) of the total Senate is needed to waive the Budget Act. We have assigned pluses to the nays because federal aid to the states for revenue sharing and medical assistance is unconstitutional. On the Amendment S.Amdt. 409 to S.Con.Res. 23: To provide full and mandatory funding for IDEA beginning in FY2004. Vote Date: March 26, 2003 Vote: NAY Good Vote. IDEA (Individuals with Disabilities Education Act) Funding. This proposed amendment to the Senate version of the budget resolution (Senate Concurrent Resolution 23) resembles H.R. 1350 as considered by the House (see House bill below). However, whereas the House bill would gradually increase the federal government's share of aid for educating special education students from 18 percent to 40 percent by 2010, this amendment would immediately increase the federal government's share to 40 percent in fiscal 2004 and maintain this level over the next 10 years -- increasing federal IDEA spending by $229 billion over that same period. The Senate rejected this amendment on March 26, 2003 by a vote of 28 to 70 (Roll Call 103). We have assigned pluses to the nays because federal aid to education is unconstitutional. On the Amendment S.Amdt. 278 to S.Con.Res. 23: To make available funds for the COPS program. Vote Date: March 21, 2003 Vote: NAY Good Vote. COPS (Community Oriented Policing Services) Funding. This proposed amendment to the Senate version of the budget resolution (Senate Concurrent Resolution 23) states: "It is the sense of the Senate that the levels in this resolution assume that an increase of $1,000,000,000 for fiscal year 2004 for the Department of Justice's community oriented policing program will be provided without reduction and consistent with previous appropriated and authorized levels." This amendment was introduced because the president had only requested $164 million for the COPS program for fiscal 2004. Adoption of this amendment would express the sense of the Senate that funding for the COPS program should be continued at the same level as for fiscal years 2002 and 2003, $1 billion per year. The Senate rejected this amendment on March 21, 2003 by a vote of 48 to 52 (Roll Call 78). We have assigned pluses to the nays because federal aid to local police forces invites federal control and is unconstitutional. On the Amendment S.Amdt. 260 to S. 3 (Partial-Birth Abortion Ban Act of 2003): To express the sense of the Senate concerning the decision of the Supreme Court in Roe v. Wade. Vote Date: March 12, 2003 Vote: NAY Good Vote. Roe v. Wade Support. This proposed amendment to the Partial-Birth Abortion Ban (S. 3) states: "It is the sense of the Senate that -- (1) the decision of the Supreme Court in Roe v. Wade (410 U.S. 113 (1973)) was appropriate and secures an important constitutional right; and (2) such a decision should not be overturned." Since this amendment supporting Roe v. Wade was adopted, we have opted to score the vote on this amendment rather than the vote on the resulting, severely compromised, Senate bill to ban partial-birth abortion. The Senate adopted this amendment on March 12, 2003 by a vote of 52 to 46 (Roll Call 48). We have assigned pluses to the nays because Roe v. Wade should be overturned on the basis that all forms of abortion constitute the murder of unborn children -- and that the Supreme Court was overstepping its proper authority by "legalizing" abortion in the first place. Vote Date: March 6, 2003 Vote: AYE Bad Vote. Moscow Treaty. This treaty, known as the "Moscow Treaty," would require both the United States and Russia to reduce their respective nuclear stockpiles to between 1,700 and 2,200 warheads by 2012. This treaty is a continuation of the decades-old U.S. program for "general and complete disarmament" originally proposed in the 1961 State Department document Freedom From War. Under that plan, the goal is to disarm all countries, including the U.S., to "a point where no state would have the military power to challenge the progressively strengthened U.N. Peace Force." The Senate ratified the Moscow Treaty on March 6, 2003 by a vote of 95 to 0 (Roll Call 43). We have assigned minuses to the yeas because the Moscow Treaty is just one more step in a UN disarmament process that would culminate in the complete loss of our national sovereignty. On the Conference Report H.J.Res. 2: Joint Resolution making consolidated appropriations for the fiscal year ending September 30, 2003, and for other purposes. Vote Date: February 13, 2003 Vote: AYE Bad Vote. Fiscal 2003 Omnibus Appropriations. The final version (conference report) of House Joint Resolution 2 would provide $397 billion in fiscal 2003 for all Cabinet departments and government agencies covered in 11 unfinished spending bills from the 107th Congress. The bills included are: Agriculture, Commerce-Justice-State, District of Columbia, Energy and Water Development, Foreign Operations, Interior, Labor-HHS-Education, Legislative Branch, Transportation, Treasury-Postal Service, and VA-HUD. The problem with the omnibus approach is that thousands of unconstitutional activities are lumped together with legitimate legislation in one massive bill. Thus, big government is perpetuated with a minimum of accountability. The Senate adopted the conference report on H. J. Res. 2 on February 13, 2003 by a vote of 76 to 20 (Roll Call 34). We have assigned pluses to the nays because this bill perpetuates huge amounts of unconstitutional federal spending.